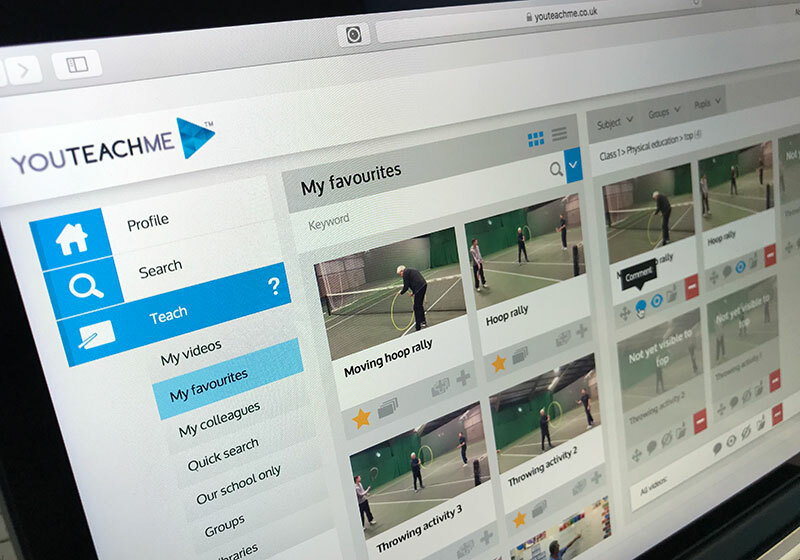 Building on the success of the school-based video sharing platform, YouTeachMe, the concept has now been adapted for the home-schooling market. 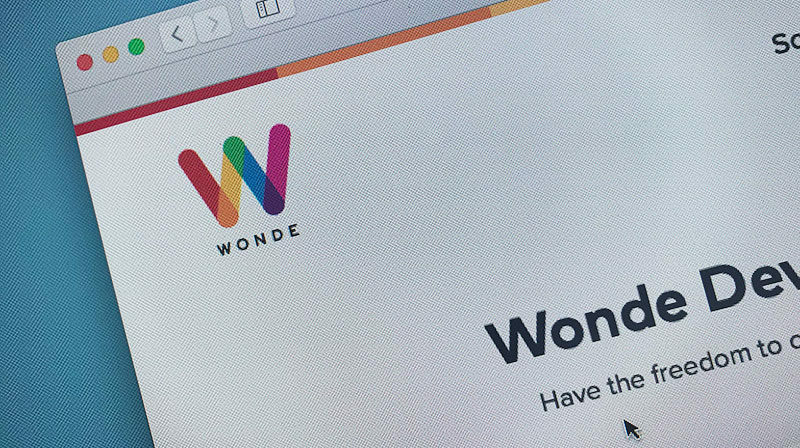 This new subscription service allows parents to compile high-quality education videos into ‘lessons’ to assist their childs learning. 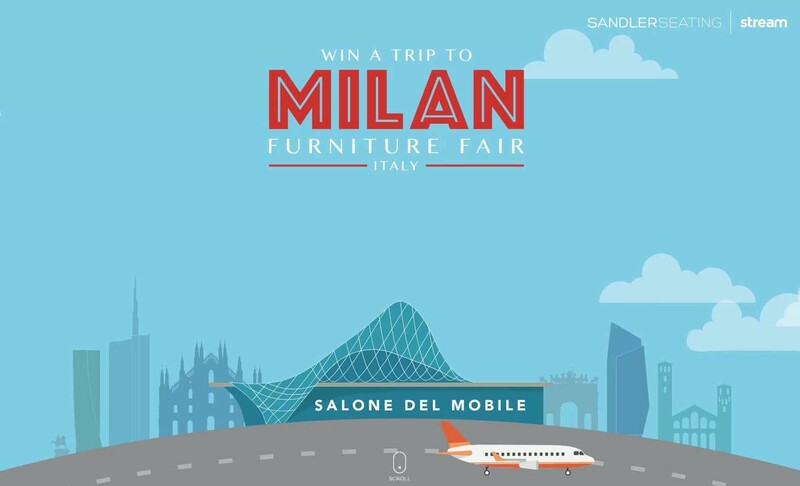 We’re very excited to be running a competition in conjunction with Sander Seating to offer a lucky winner a trip to the Milan Furniture Fair (Salone Del Mobile). 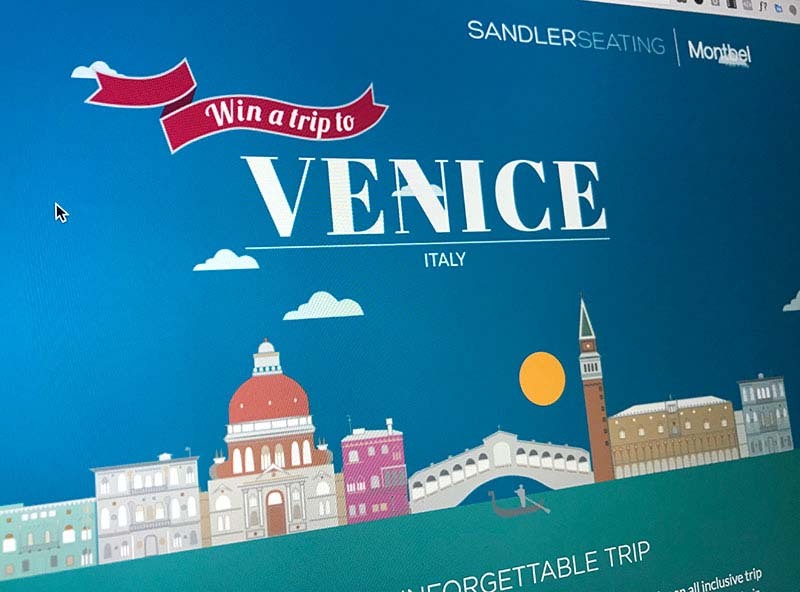 A prize made all the more special as it’s only open for Sandler Seating’s US customer base….a truly transatlantic prize! 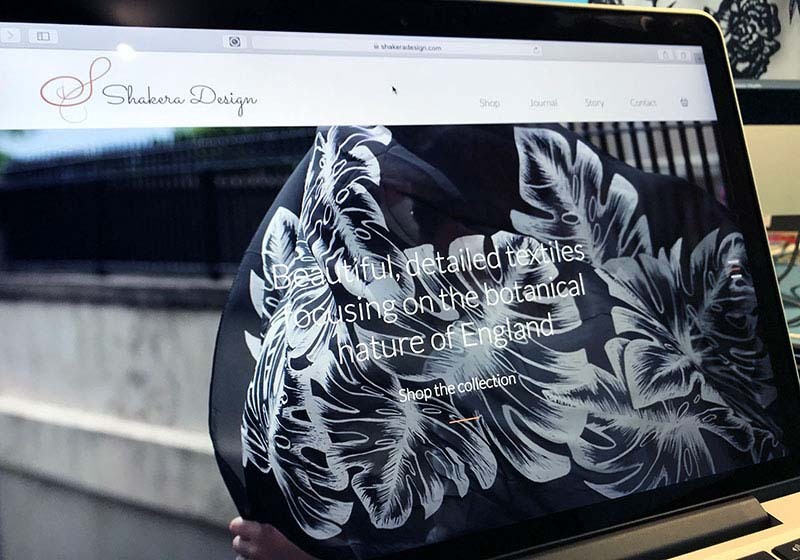 We’ve just launched a new site for Shakera Design. 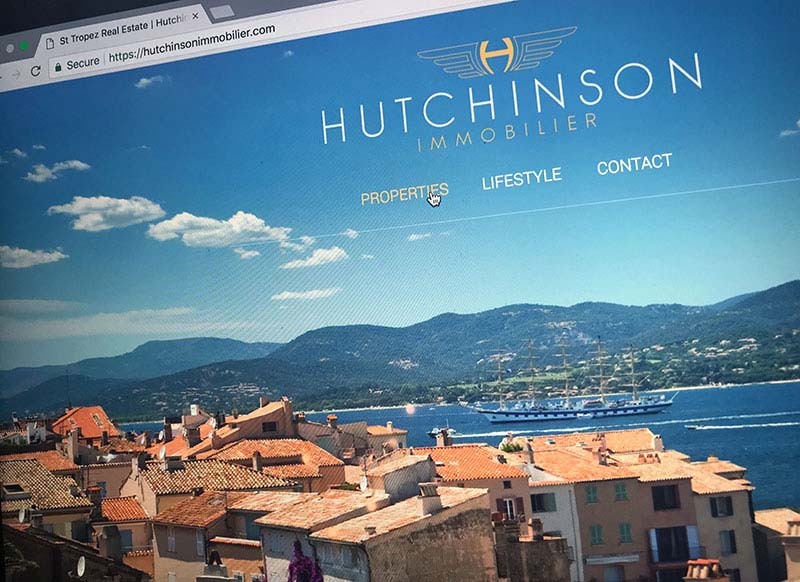 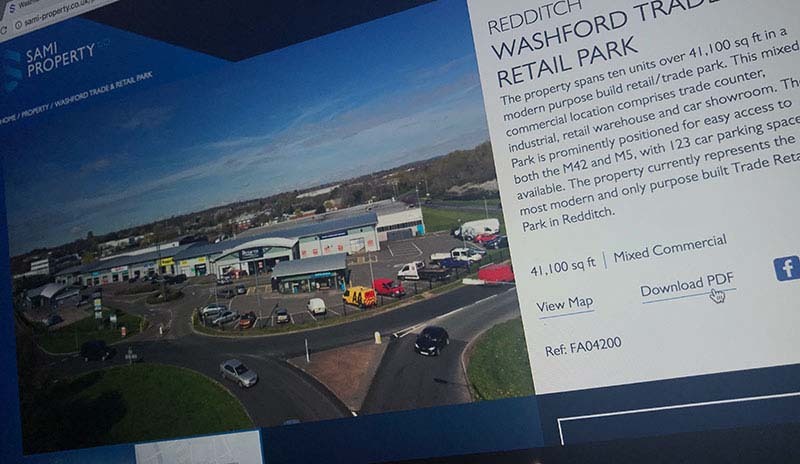 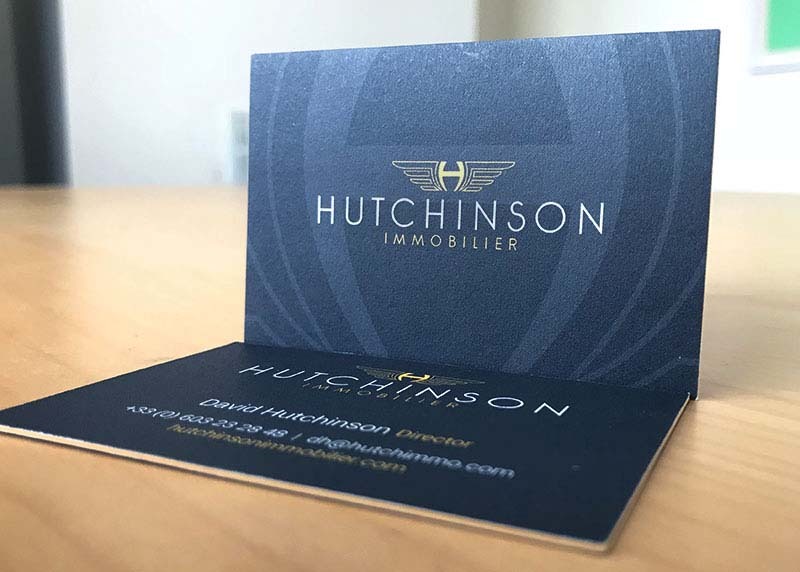 We were very happy to provide a ‘full service’ on this site with all of the copywriting and photography produced by us. 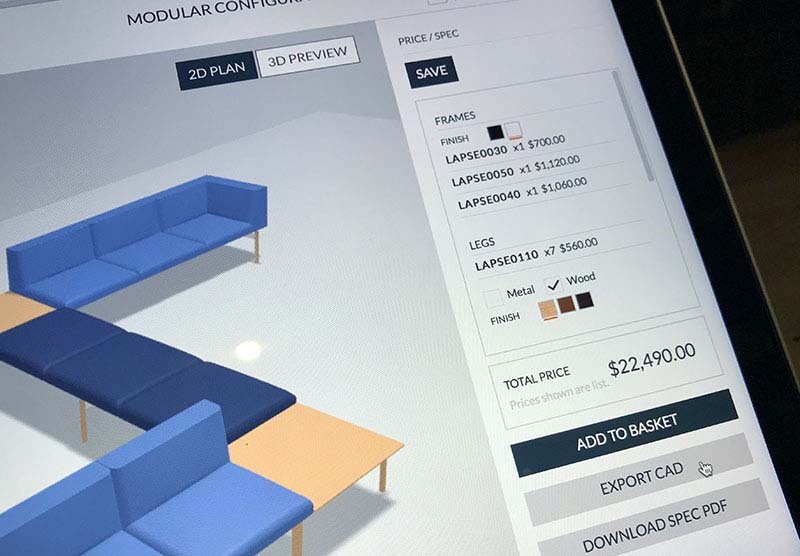 Responding to calls from our clients users, we’ve developed new functionality that allows customised 3D CAD files to be created and downloaded from our modular configurator. 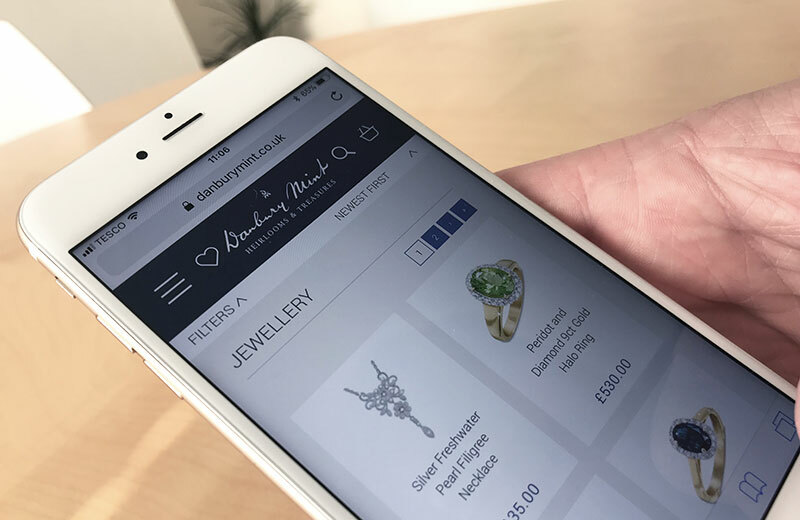 With mobile users now accounting for 65% of total site traffic, it was vital that enhancements to the user experience were suited to the small screen. 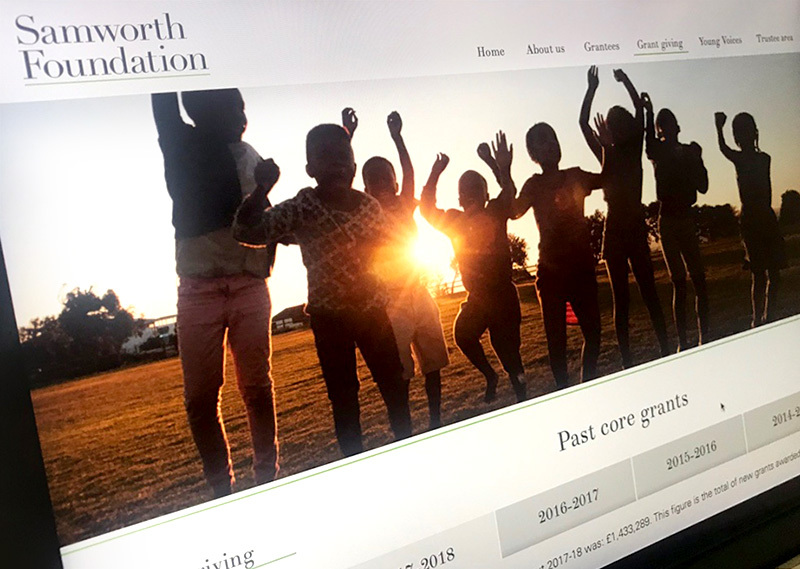 In preparation for a new website that we are building we created a new brand identity for the Samworth Foundation, a charitable foundation committed to helping vulnerable young people who exist on the margins of society. 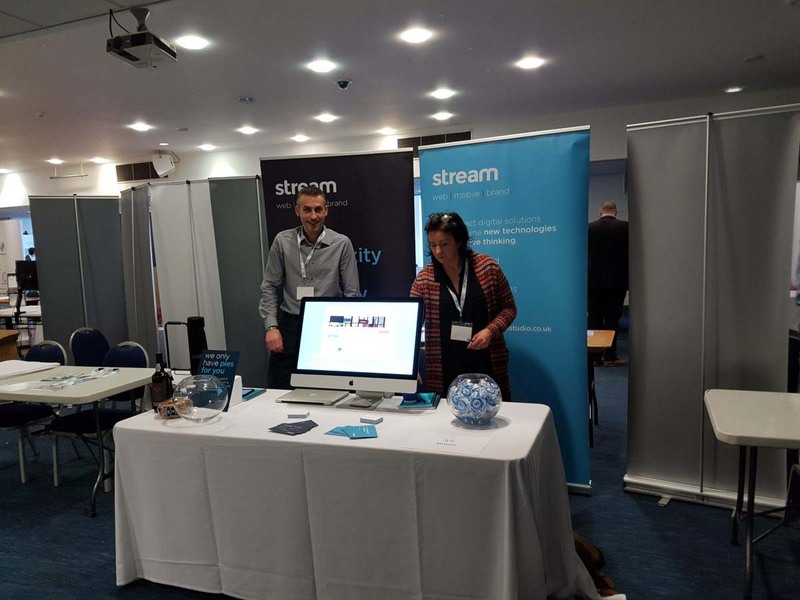 Business Shows and Networking Events are a great way to promote your business. 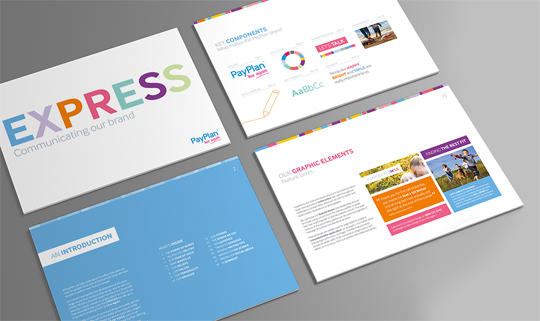 Meeting potential clients and companies looking for for new work and suppliers can be daunting. 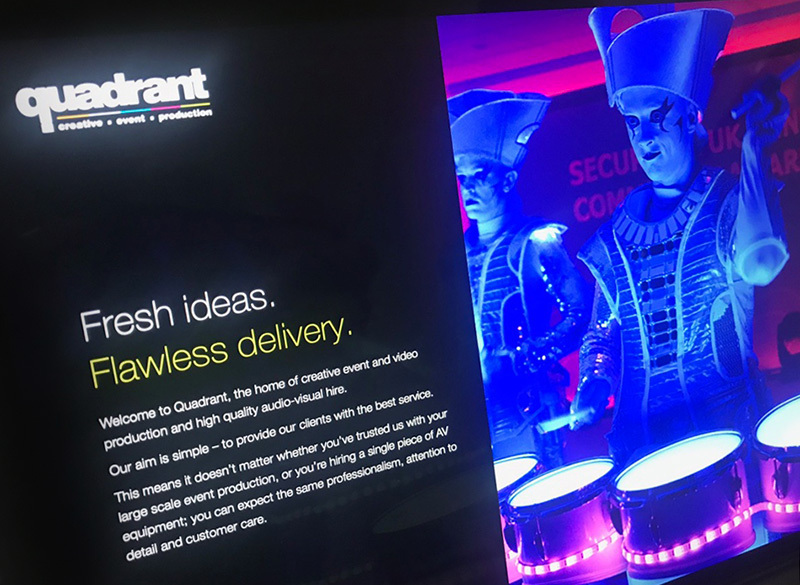 We wanted to share some simple tips that we discovered when attending our first event…. 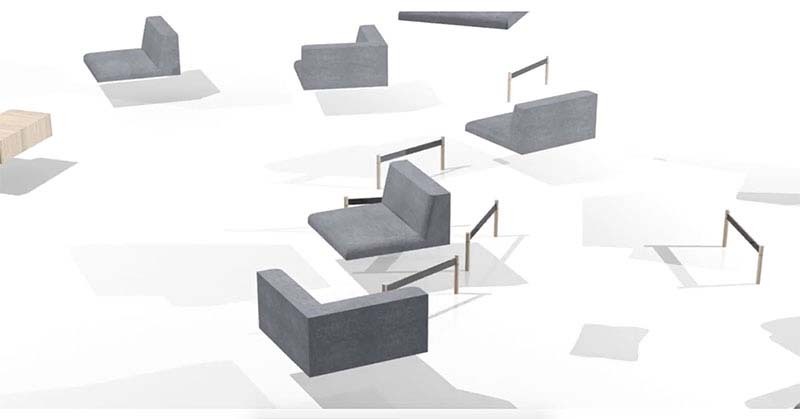 To demonstrate the vertical stacking capabilities of a functional furniture range, we created a 3D animation with chairs, benches and tables raining down to form perfectly uniform, neat stacks. 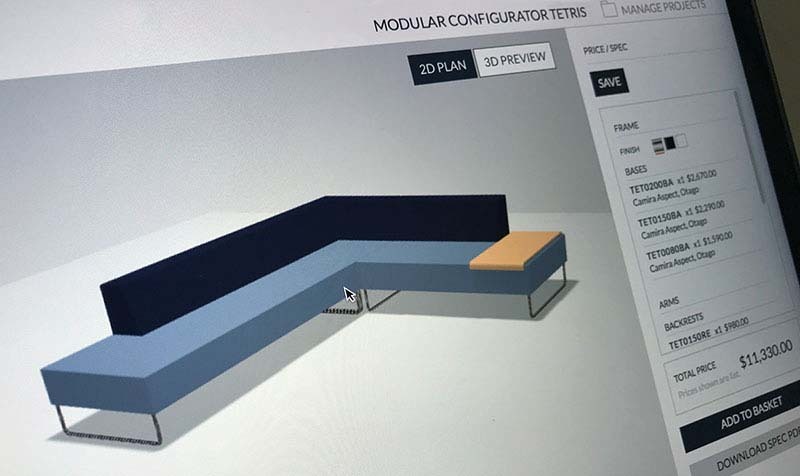 Following on from the launch of our modular configurator, we have now adapted it to the unique requirements of a second furniture range. 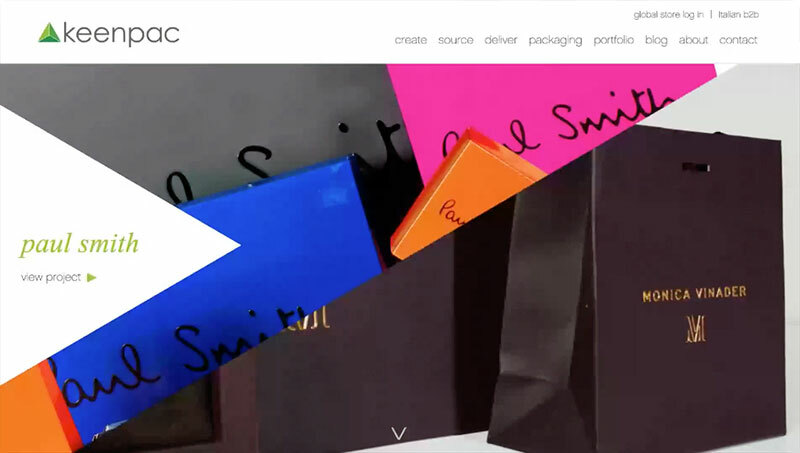 With a product called Tetris it’s hard to resist the temptation to create colour combinations! 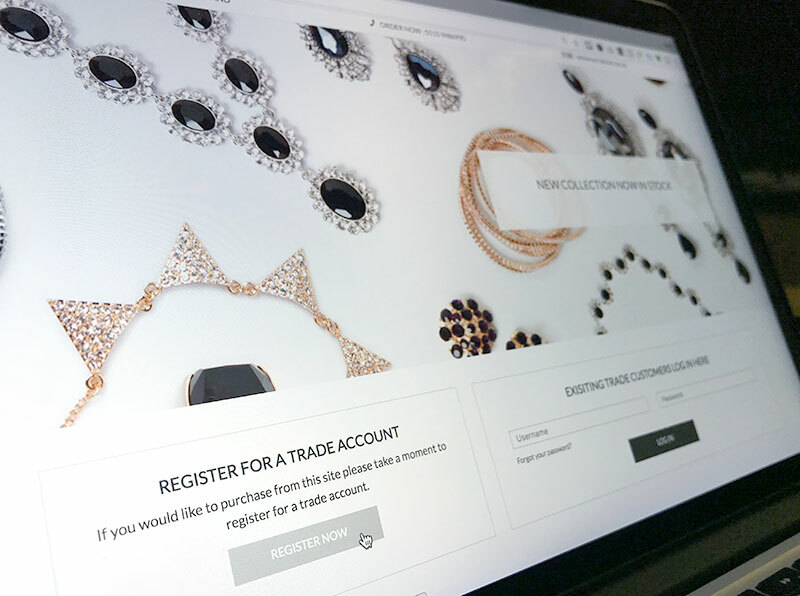 To help speed up the trade purchasing process we’ve added a quick order function that allows users to simply add products to their order from a filtered listing. 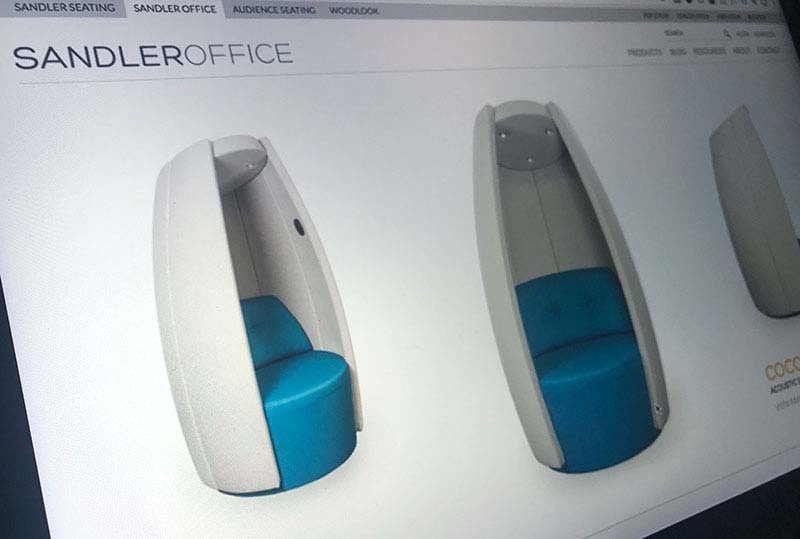 With a product as unique as Cocoon, we needed to get creative to devise a short animation that would show off it’s many features. 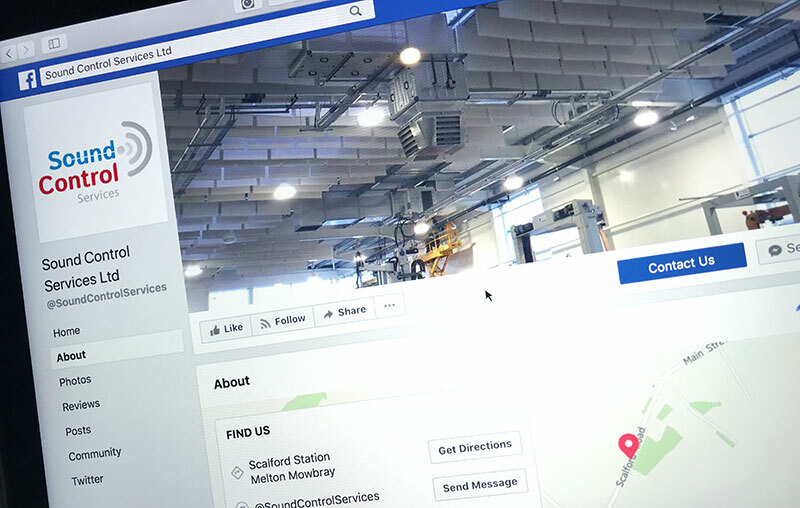 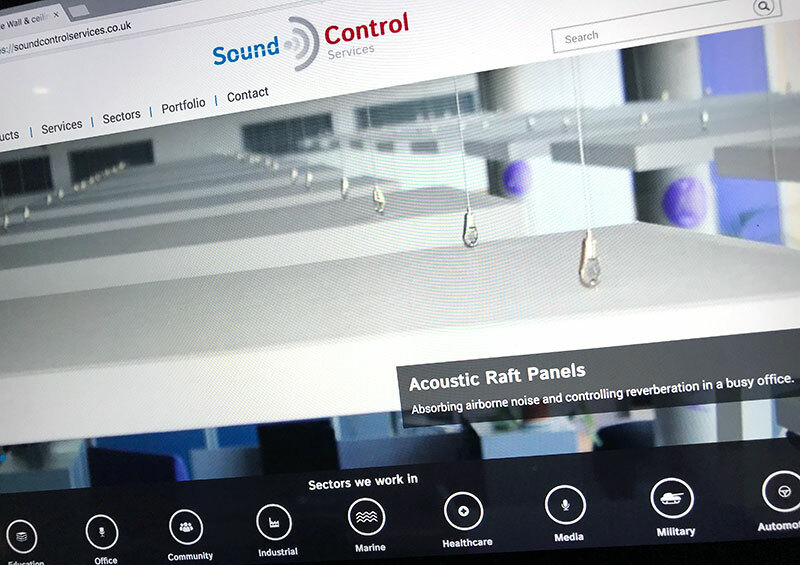 To coincide with their website launch, we helped Sound Control enhance their social media presence with branded profiles for Facebook, Twitter and LinkedIn, along with a series of targeted posts. 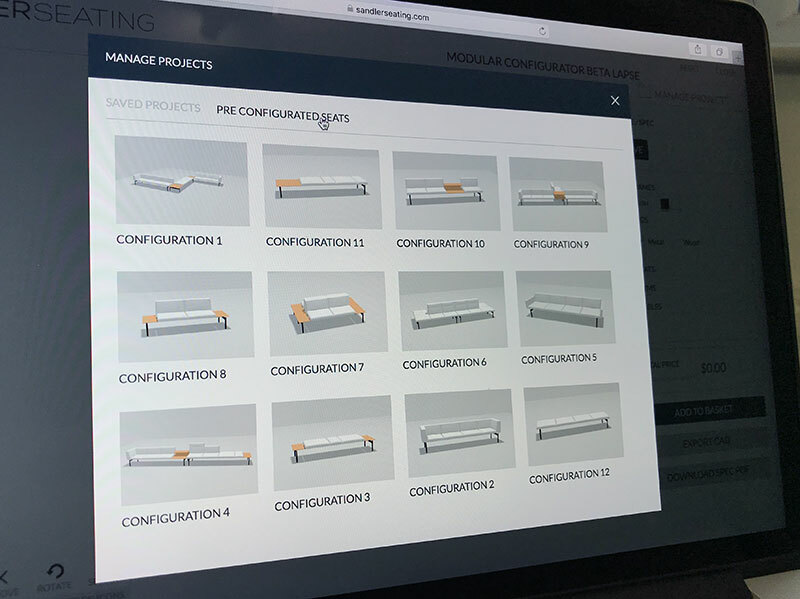 With endless combinations achievable on our Lapse modular product configurator, many designers were struggling to know where to start. 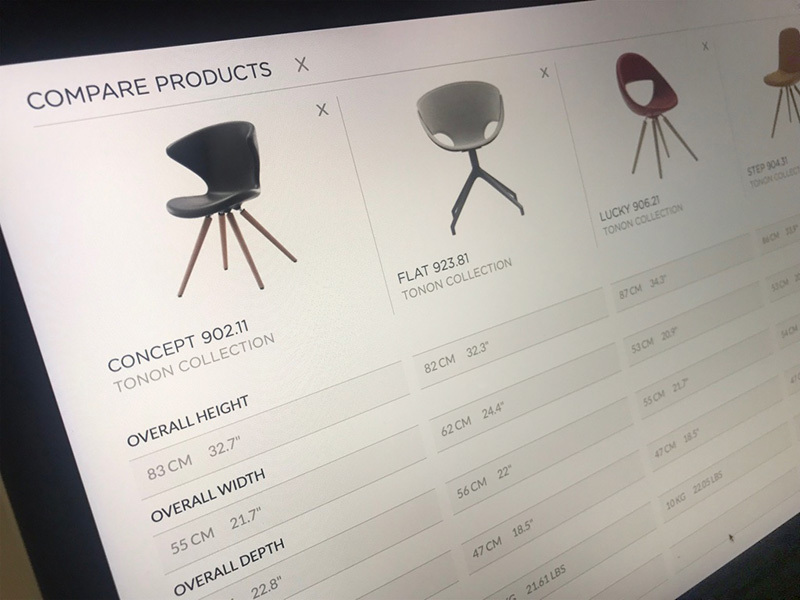 To help overcome this we’ve added a range pre-configured models that can simply be loaded in as a starting point for inspiration. 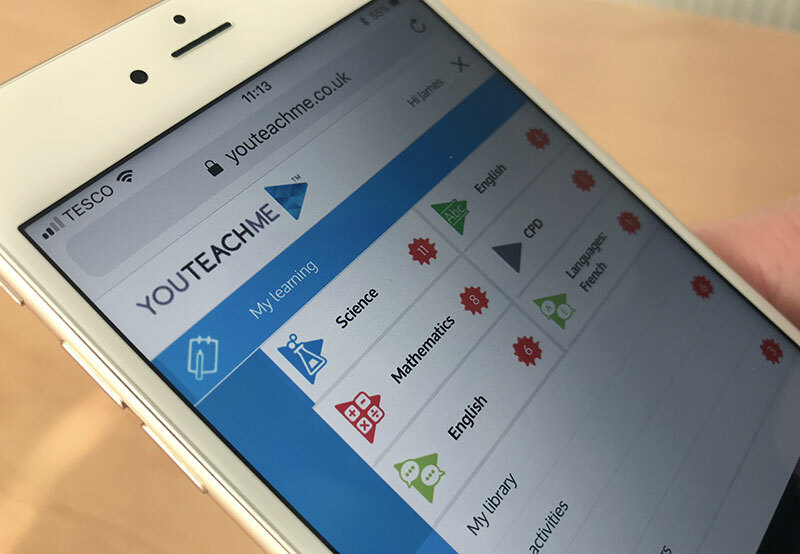 To help teachers get the most out of the YouTeachMe platform we’ve added clear visual tool-tips that guide them through the many functions available. 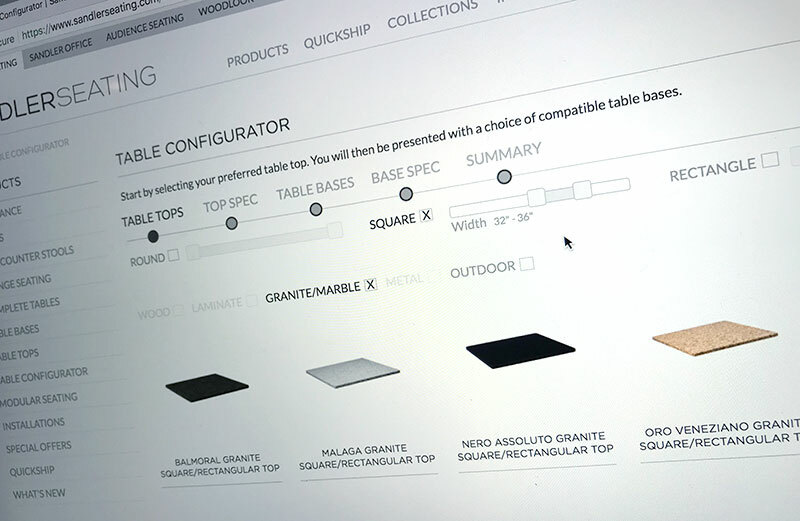 Instruction videos have also been added to walk users through the site. 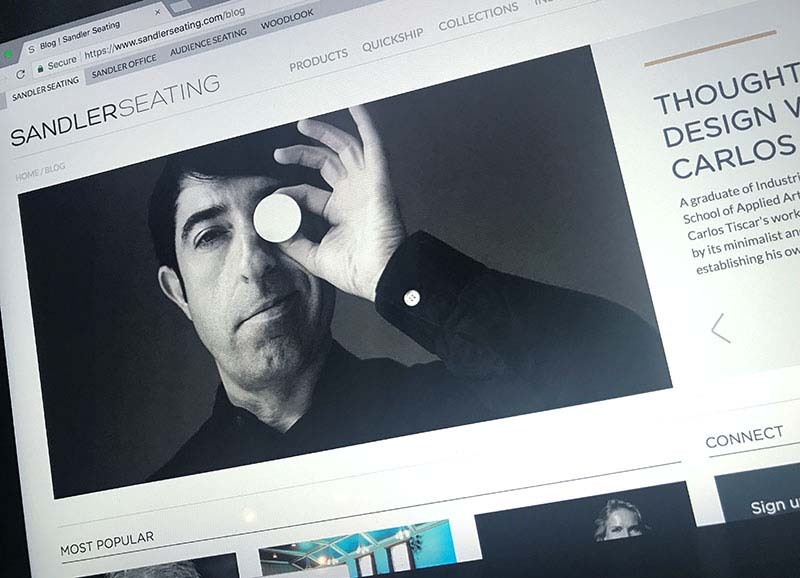 To showcase the expanding range or modular options that Sandler Seating offer we created product landing pages. 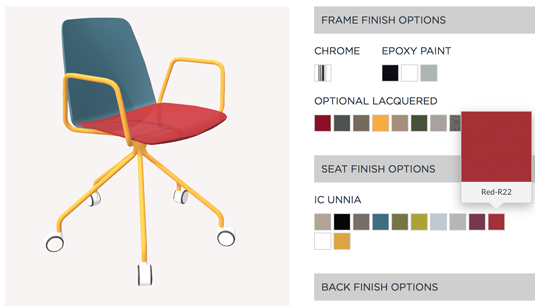 These are not only useful for users, search engines love the extra content too! 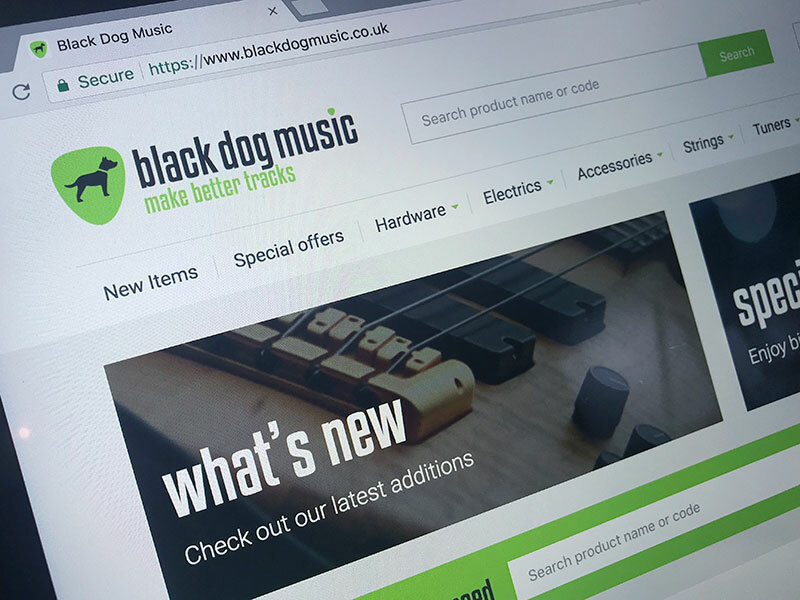 With more of an emphasis on the trade buying process, we’ve not only refreshed the look of their website, but also added a number of new features that will allow customers to quickly find and order the replenishment stock they require. 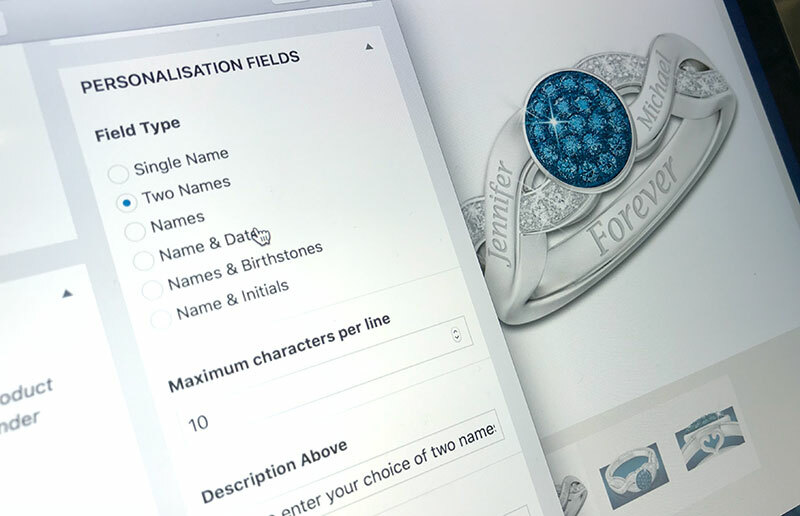 Meeting current consumer demand for personalisation, Danbury Mint have been launching a wide range of new products. 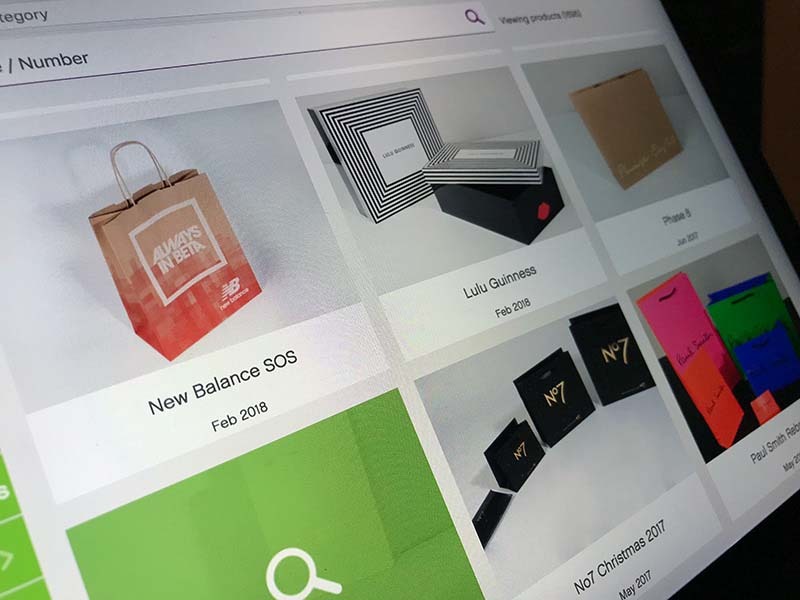 To keep up with their ever-changing requirements we’ve adapted their ecommerce CMS to allow for this wide variety of product options. 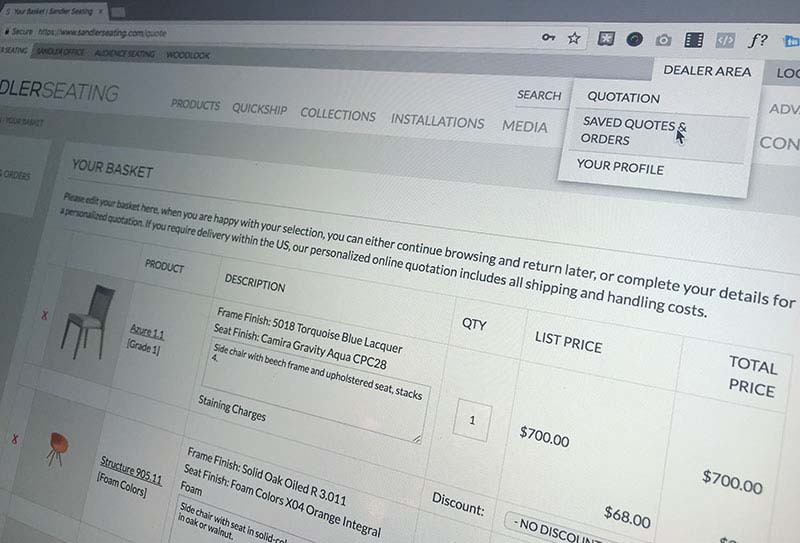 Building on the success of our interactive product configurator, we’ve just added functionality that allows sales reps to pull configured images directly into their customer quotes. 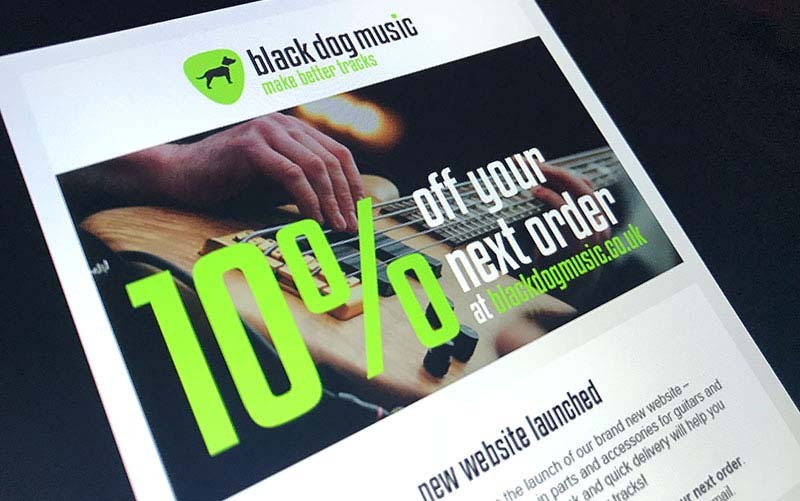 This colourful addition helps customers to see exactly what they will be ordering. 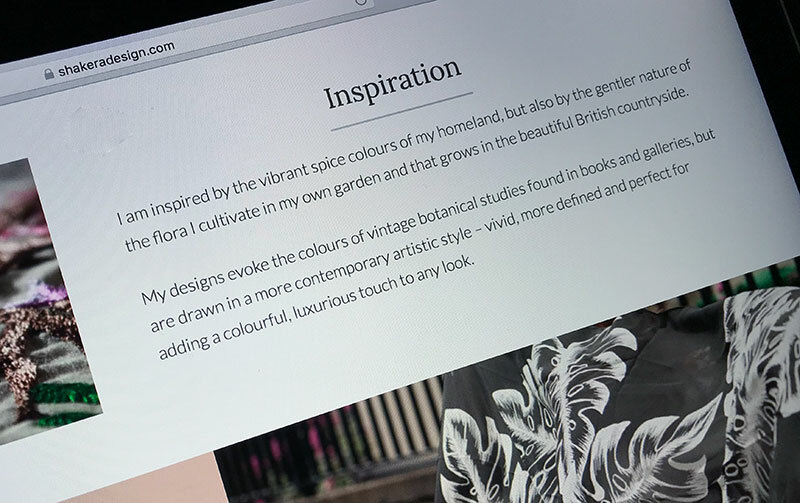 With a unique business based around the business owners own passion for illustration and fine textiles, our copywriter crafted the words to tell the fascinating story that has resulted in the launch of Shakera Design. 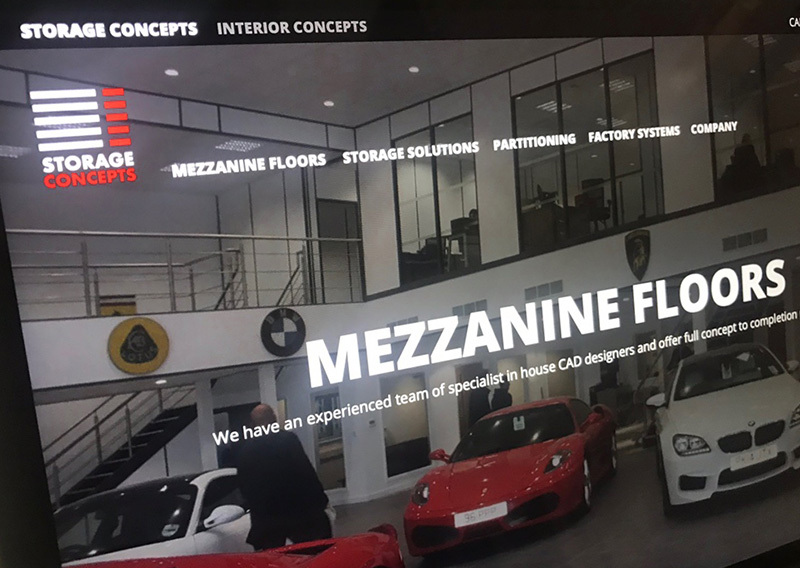 Designed to both compliment the brand style and to portray the fun outlook that the company has, we’ve created a new section of the website that allows visitors an insight into the lives of some of the key team members. 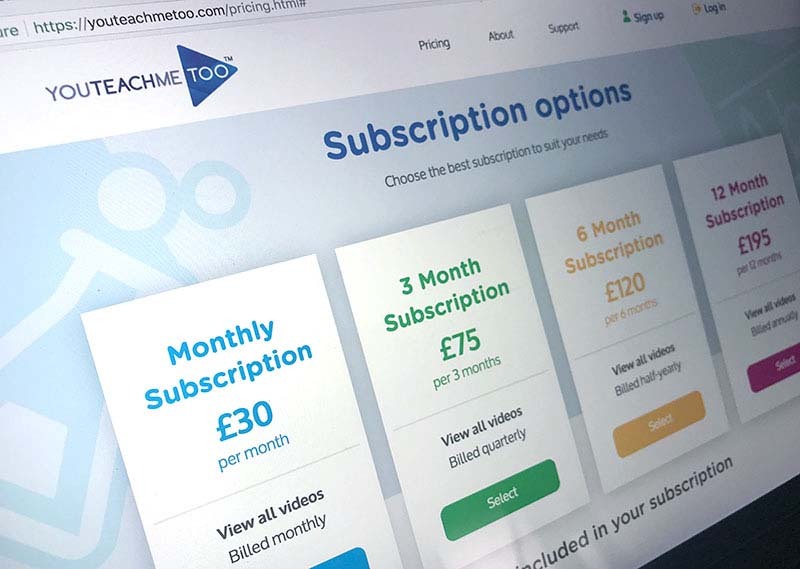 A key aspect of YouTeachMe is the ability for teachers to be able to push videos out to pupils (and parents) to watch at home…so we made watching them on small screens as easy as it is on big! 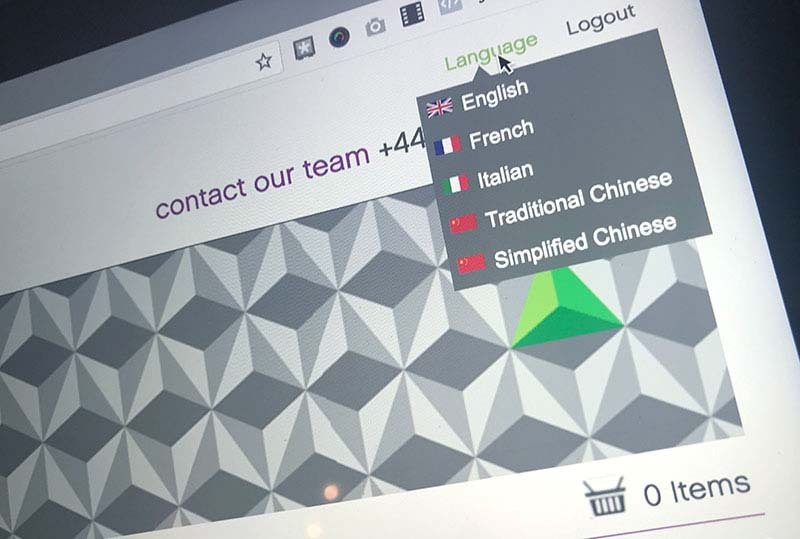 After many months of research, planning, design and development, we’re very pleased to have launched a completely new version of YouTeachMe. 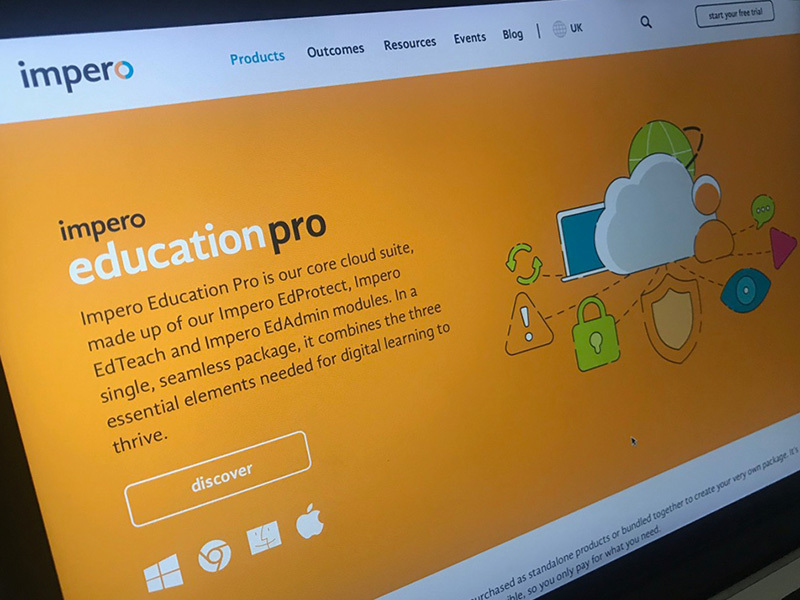 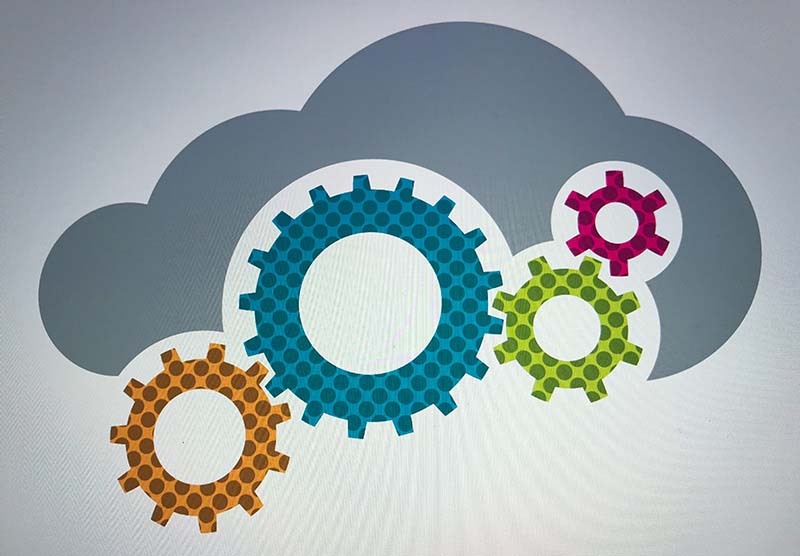 Officially version 4.0, this latest launch builds upon the success of previous versions with a number of enhancements made in response to teacher feedback. 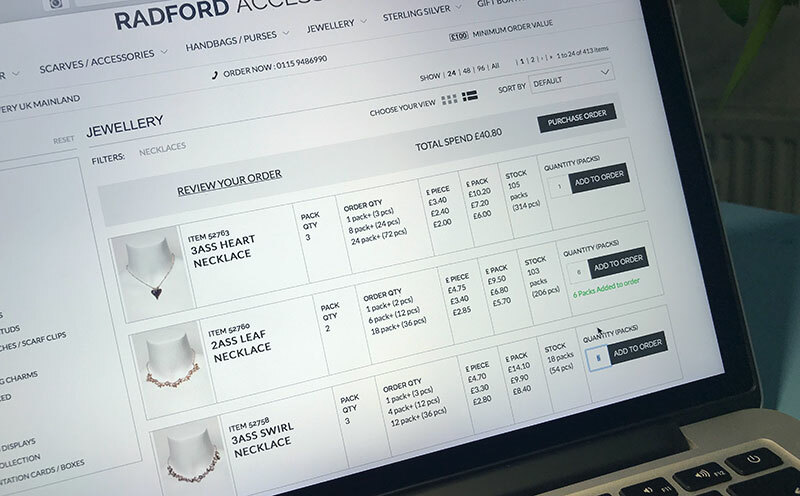 To help give a forthcoming website refresh some added sparkle, our photography has been very happy selecting and shooting some eye-catching pieces from Radford Accessories latest collection. 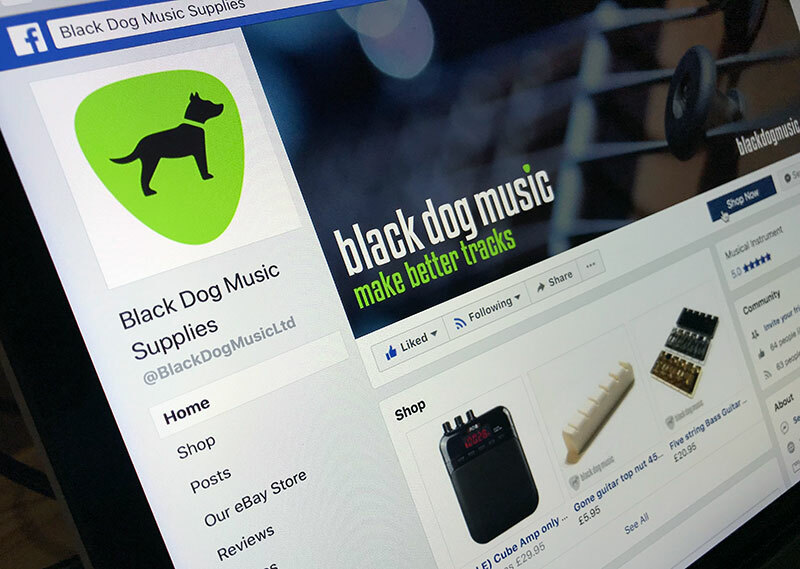 As part of a full rebranding package we’ve just added some fresh new visuals to Black Dog Music’s social media profiles. 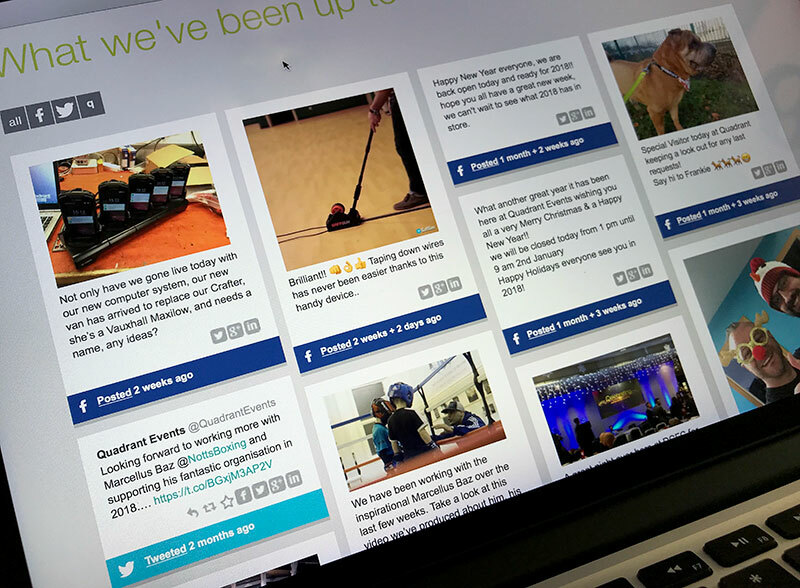 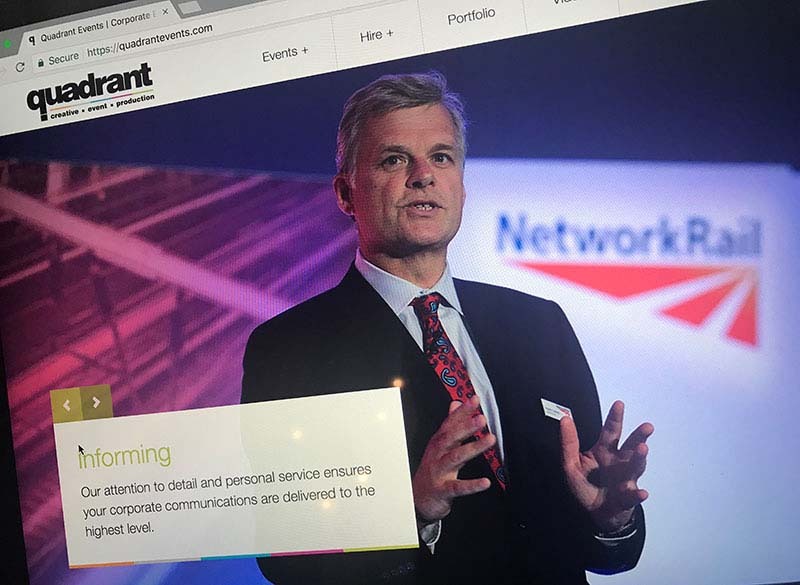 To help Quadrant give existing and potential clients an insight into their day-to-day lives we’ve added a dynamic social media feed into their website. 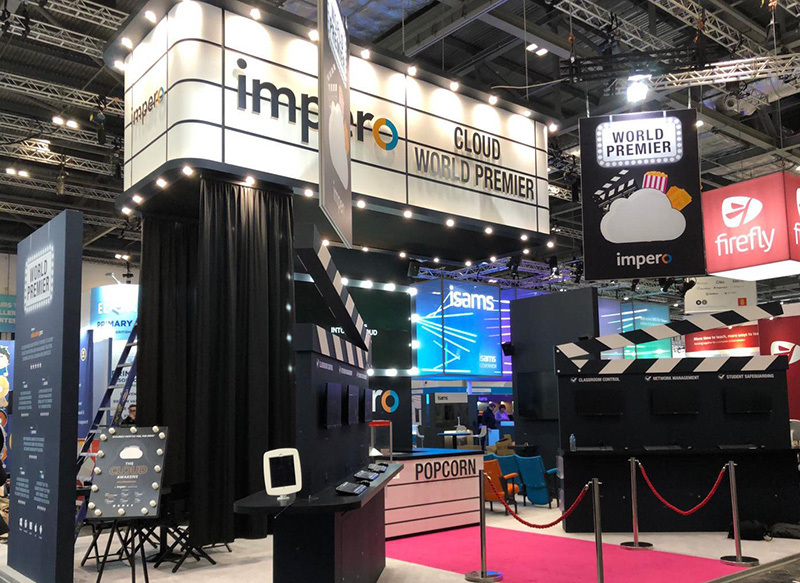 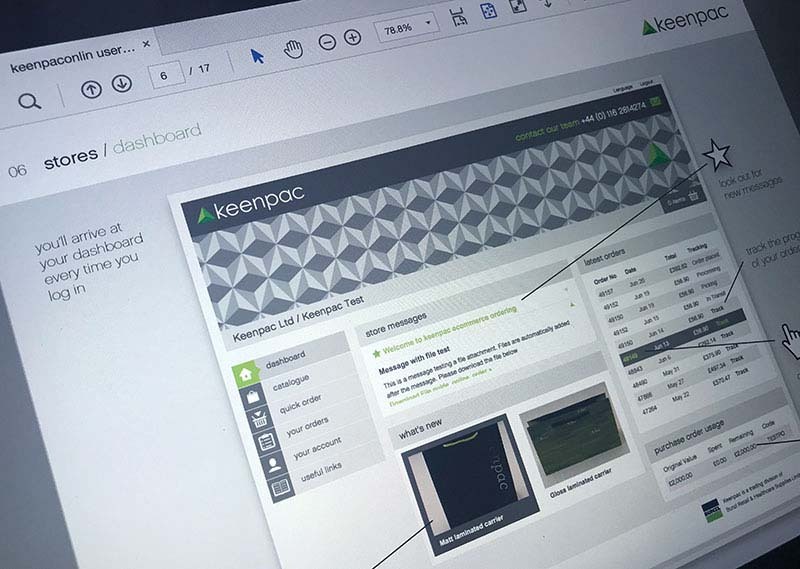 After months of hard work and collaboration, we’re pleased to have gone live with a new Ariba punchout system for Keenpac and Burberry. 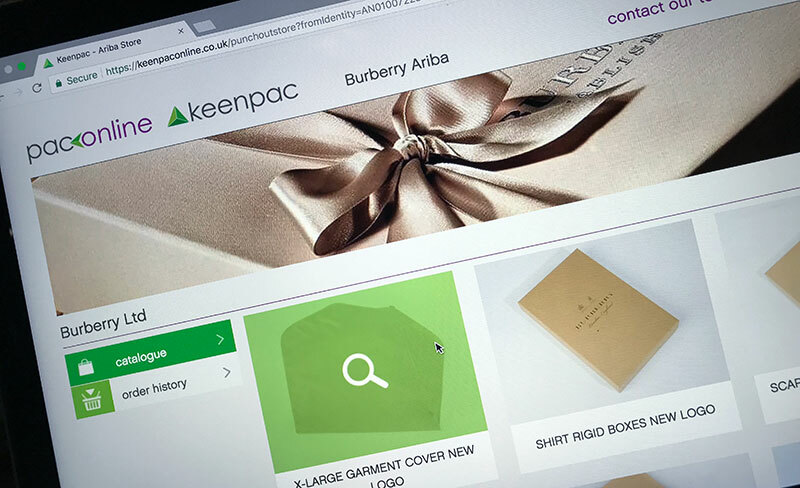 By integrating Ariba with Keenpac’s existing PacOnline system, Burberry store’s are now able to order replenishement packaging, with purchase order approval, direct from their Ariba procurement system. 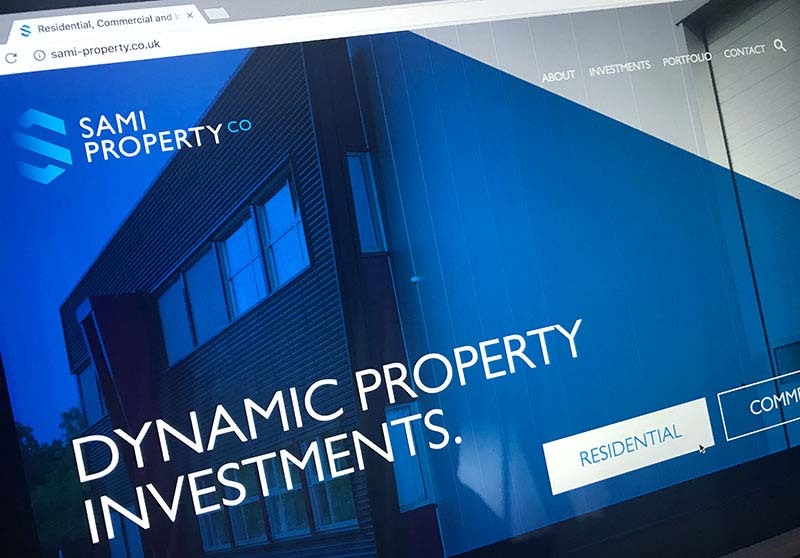 Now here’s something that we are super-proud of! 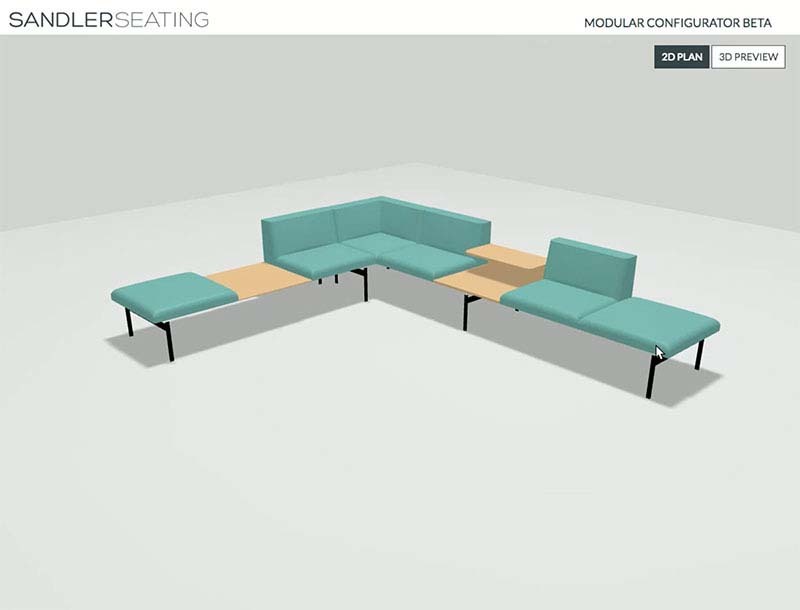 Our clever developers have created a bespoke modular product configurator for Sandler Seating which allows designers to drag and drop frames, seats and tables into their own configurations. 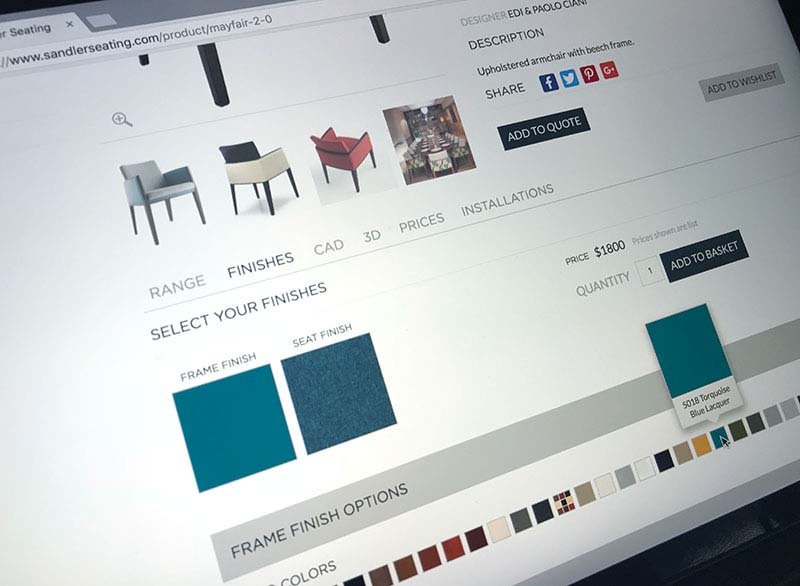 They can then specify material finishes before viewing their new design in 3D. 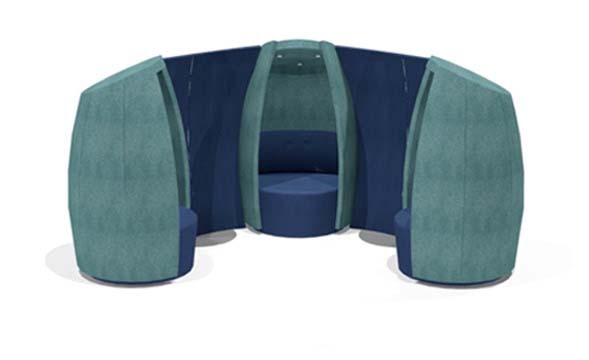 The finished configuration is costed as it’s being created to allow it to be added direct to quotations once the designer is happy with their selections. 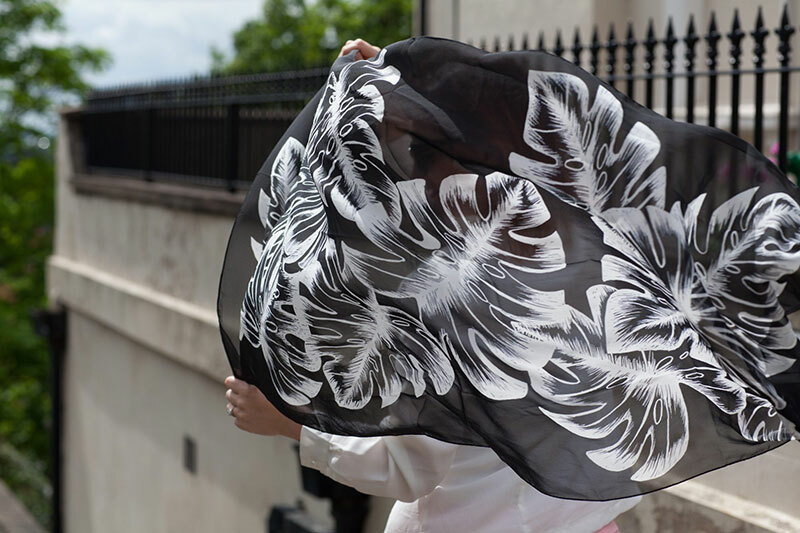 In preparation for a new ecommerce website that we are building we’ve been photographing some gorgeous silk scarves created by Shakera Design. 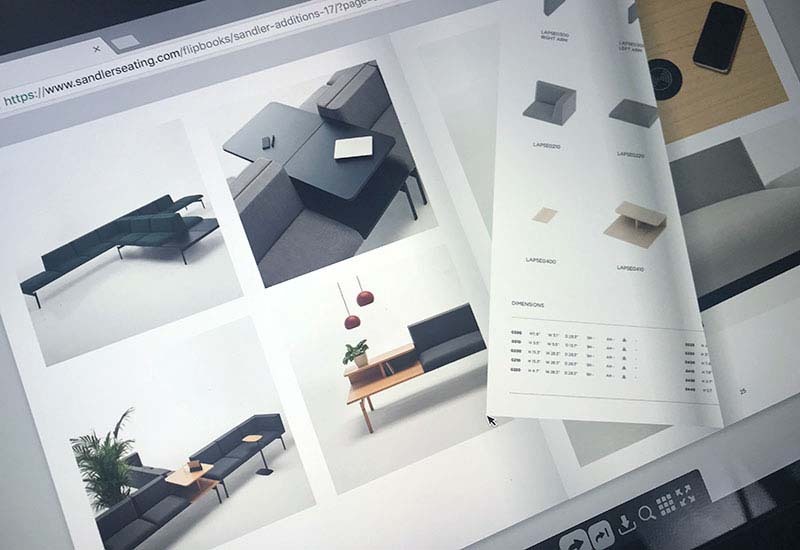 The shoot included a mix of static studio product shots and on-location model shots. 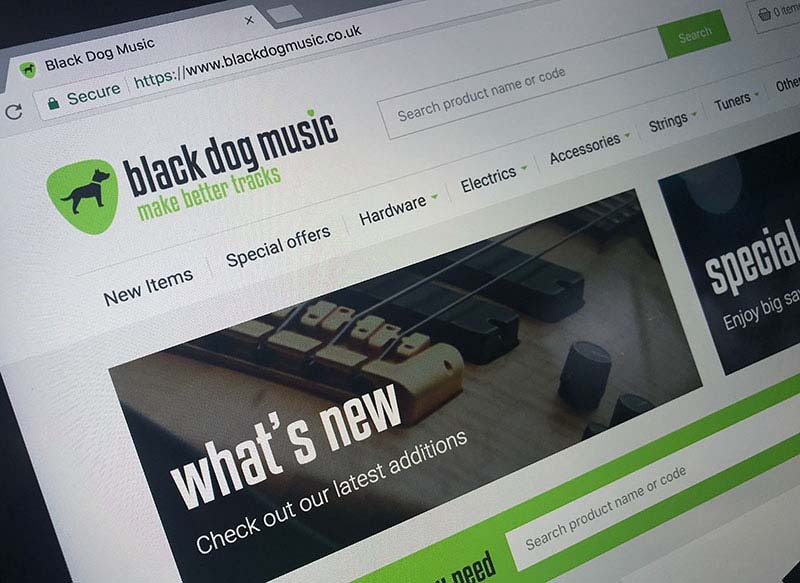 We’re looking forward to seeing them on the new website now! 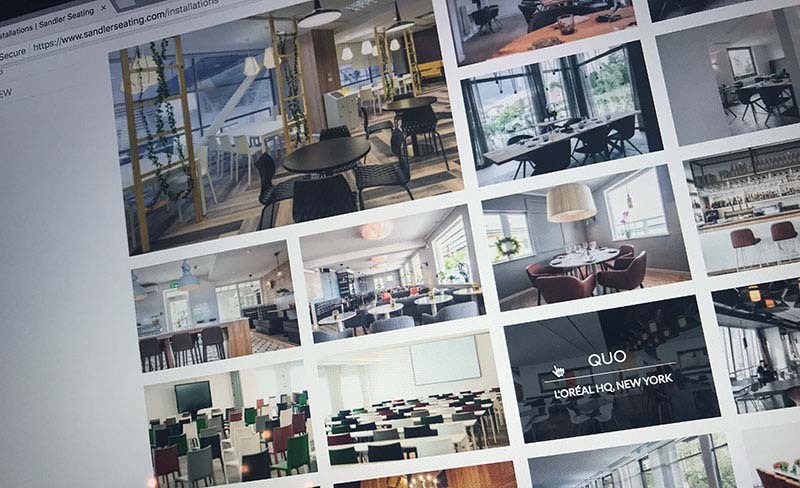 We love this sort of project!!!! 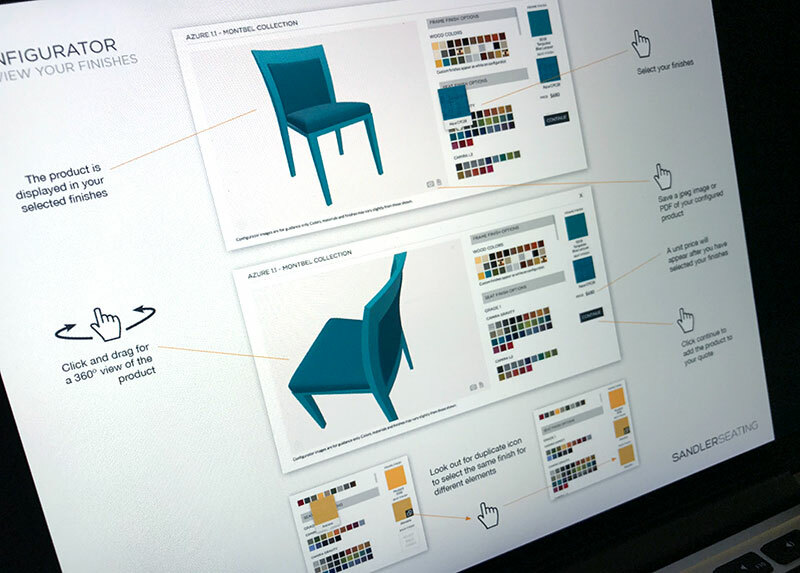 From storyboard through to final production, we’ve relished choreographing this fluid furniture ballet. 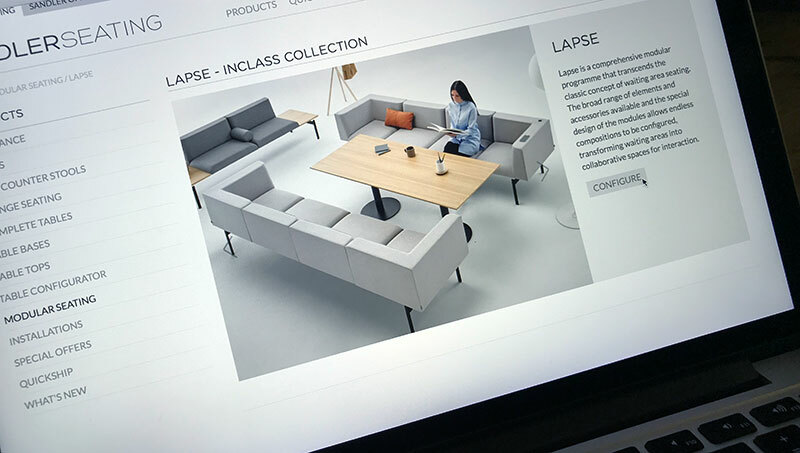 First premiering at NeoCon (commercial design industry Expo in Chicago), the 3D-animation perfectly showcases the unique nature of the Lapse product range. 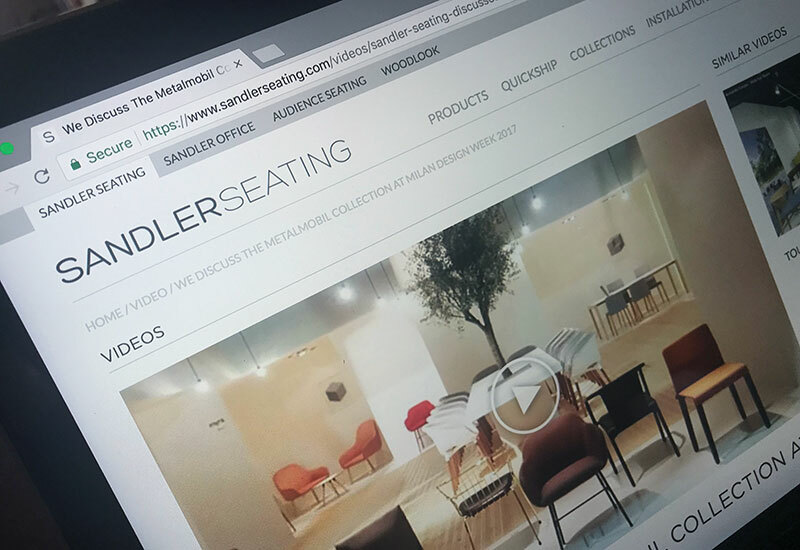 Responding to the general trend of video being used more and more to sell products, we’ve added a new dedicated video section to the Sandler Seating website. 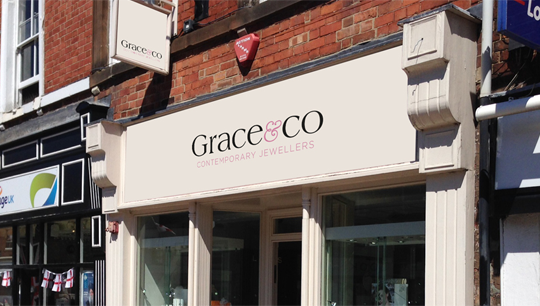 What better way to contrast the stark, clean interiors of Grace & Co’s jewellery stores than to add a burst of promotional colour. 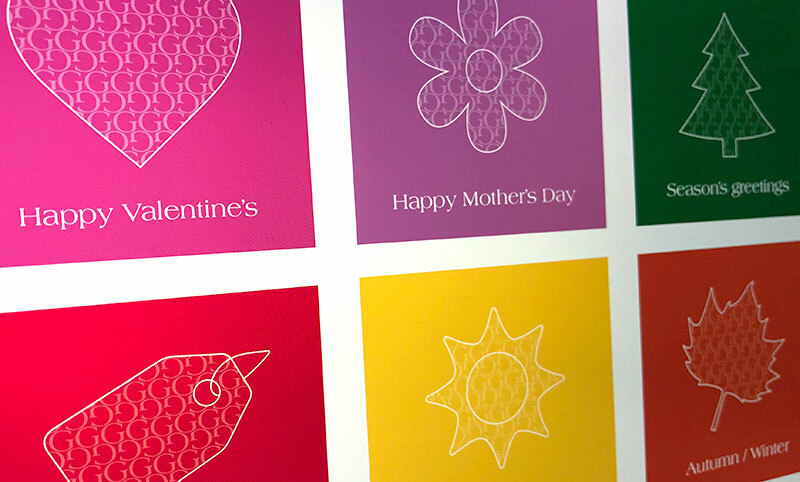 We’ve created this set of point-of-sale graphics for in-store use throughout the year. 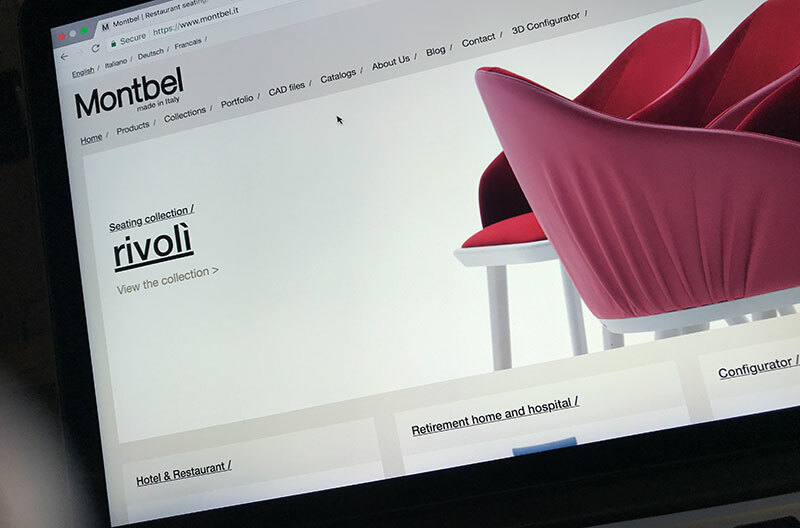 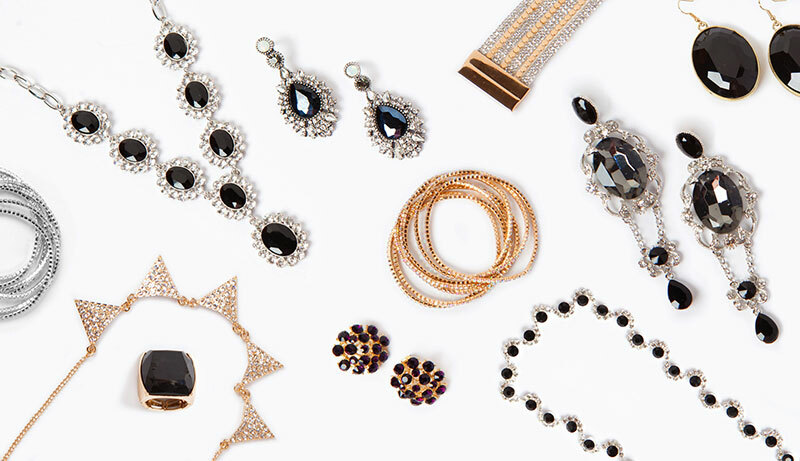 To coincide with the launch of some new product collections we’ve given Montbel’s website a mini-makeover. 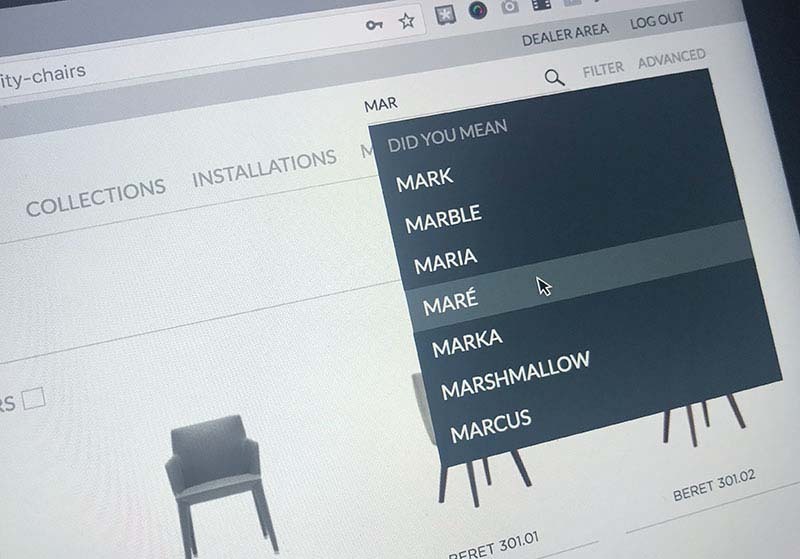 Along with a number of visual enhancements we’ve further improved the quotation system that is used by sales agents to create customised furniture quotes. 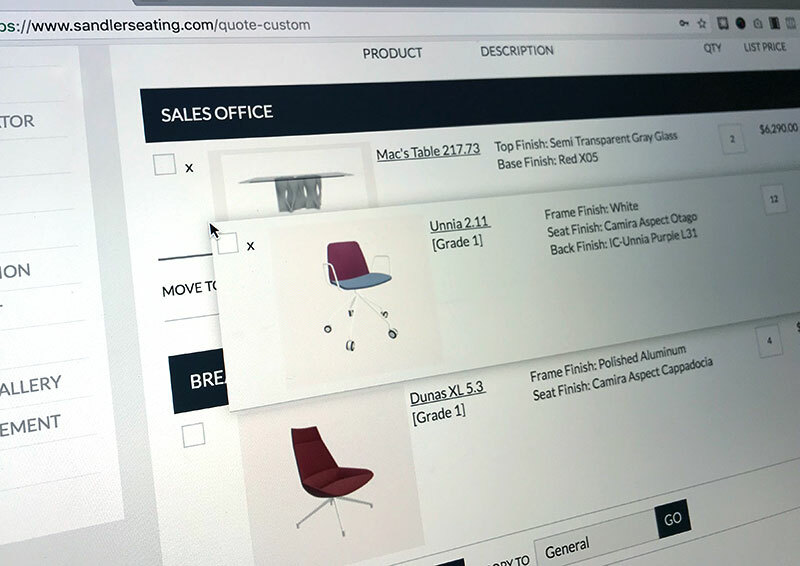 Following requests from users, we’ve added new functionality to Sandler Seating’s sales quotation system to allow custom quotes to be sorted into sub-section categories via simple drag and drop! 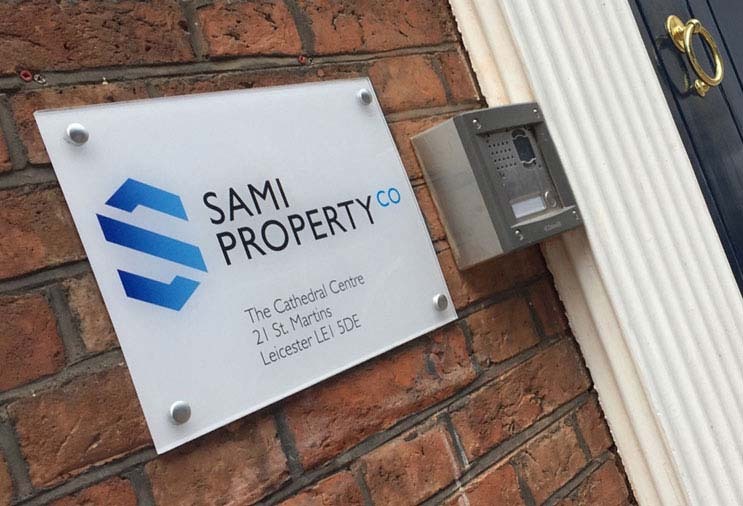 It might not even be summer yet, but we’re pretty pleased with our first Christmas job of the year! 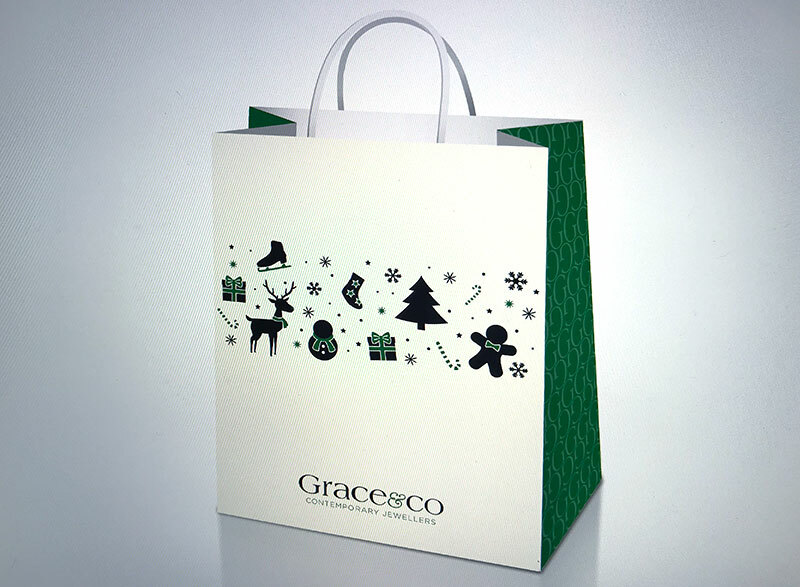 Looking forward to seeing these festive bags leaving Grace & Co stores in the months leading up to the big day. 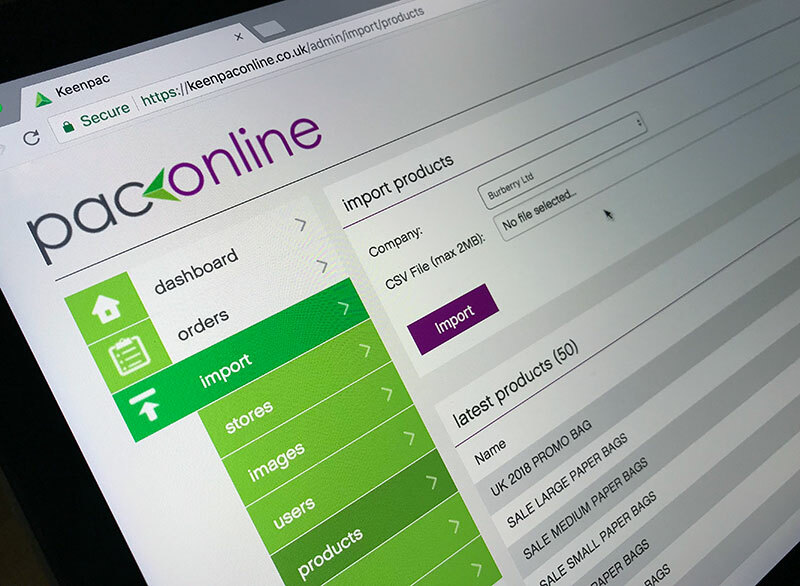 We’ve further enhanced Keenpac’s logistics management system to include the ability to send pick-up requests direct to hauliers. 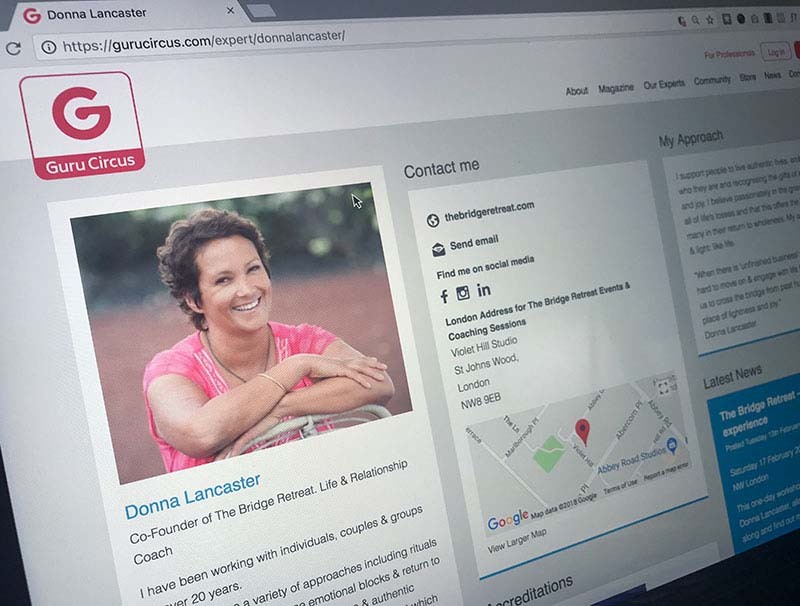 Via their own secure login, they can then approve requests and confirm important job details. 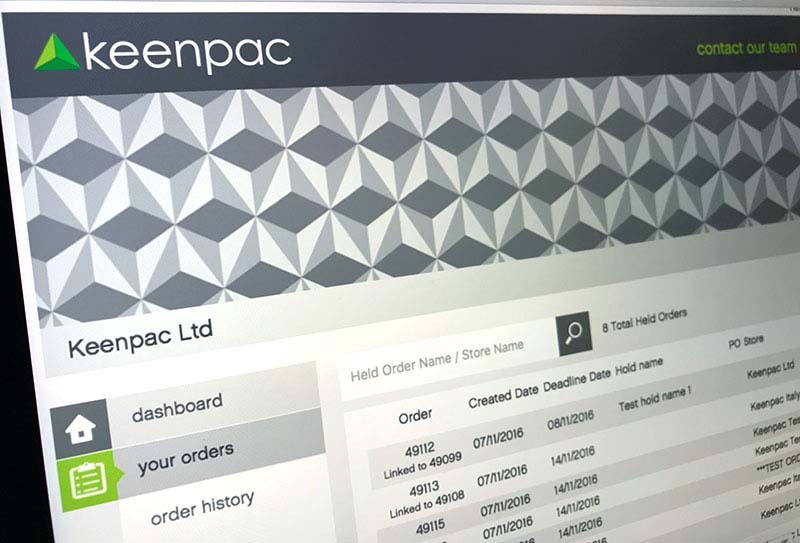 These approvals update in realtime on a large screen in Keenpac’s warehouse. 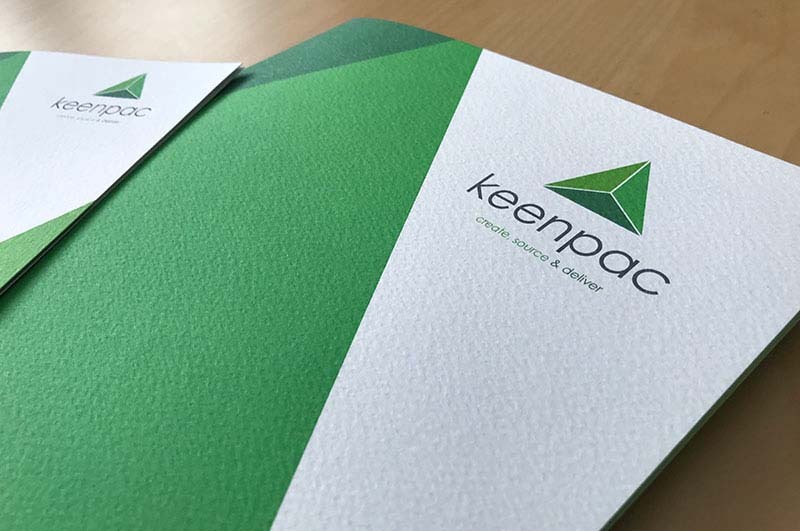 With a portfolio crammed full of some of the most recognisable brands on the high street Keenpac needed a creative way to showcase them. 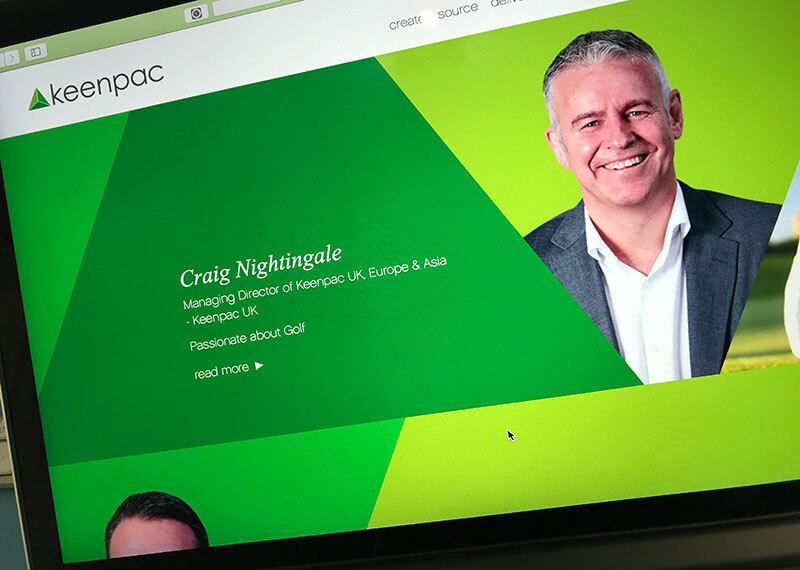 We provided this scrolling gallery that combines large-scale product photography with a clever transition technique that echoes Keenpac’s angular brand style. 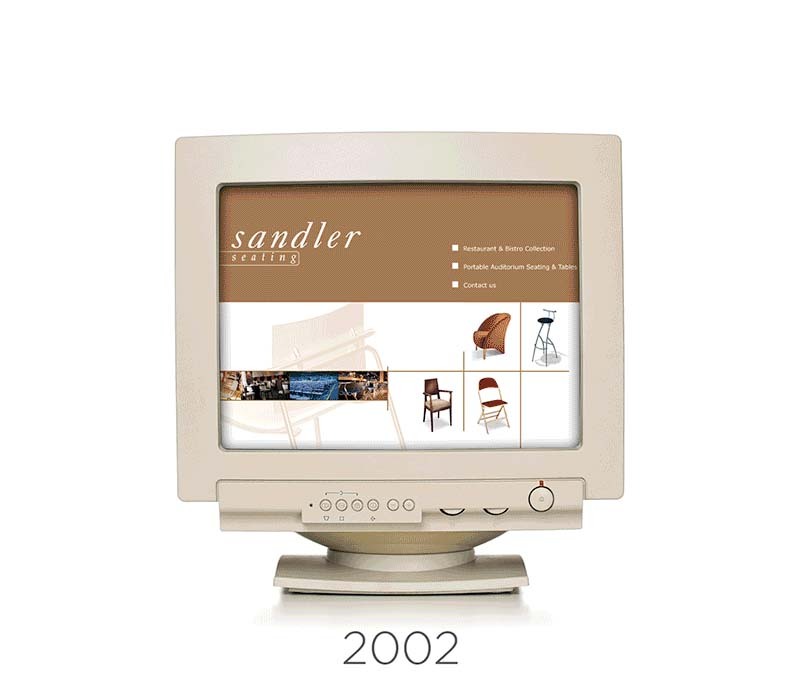 As a result of the continual development of new website features, Sandler Seating’s network of Sales Representatives can sometimes find it hard to keep up. 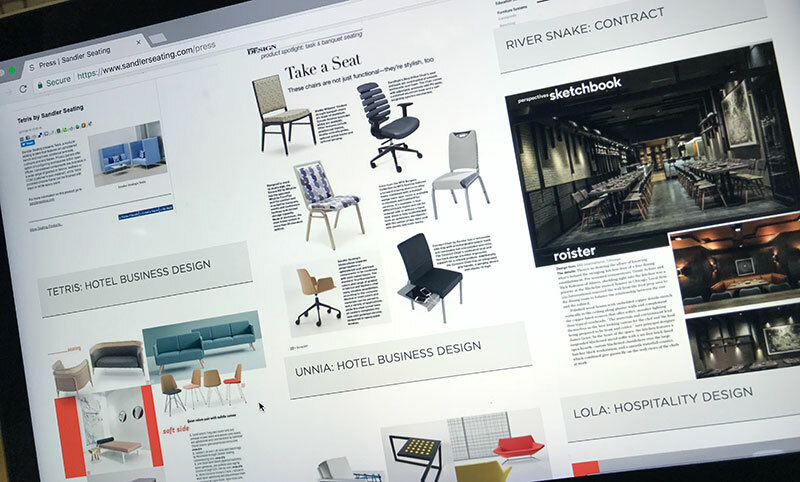 So we’ve created a series of handy user-guides to walk them through the newest features that they have at their fingertips! 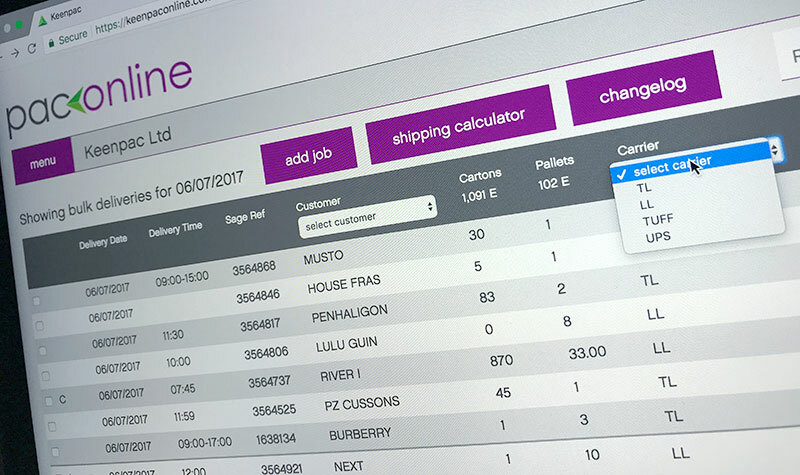 Following on from creating the brand style earlier in the year, we’ve now designed a set of bespoke icons for use on HR Industries new Focus.Net mobile application. 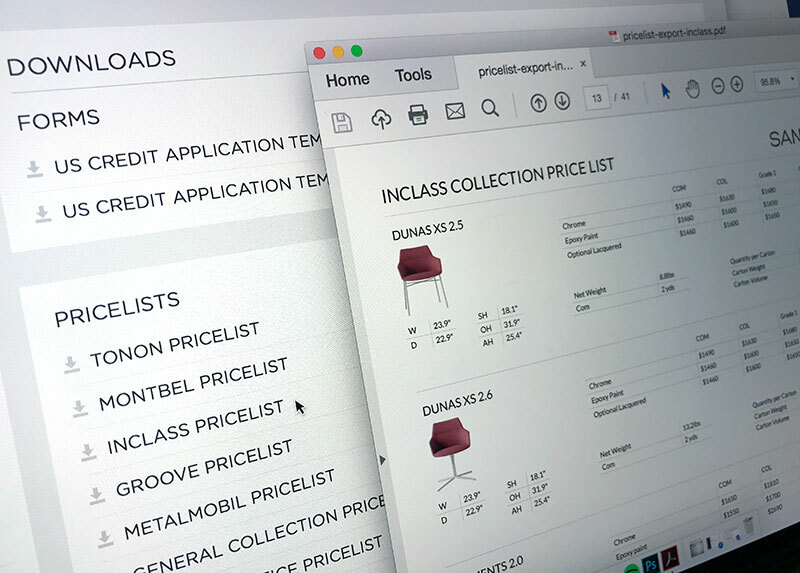 With a clever bit of coding and a touch of design input, we’ve developed a system to allow clearly laid-out PDF pricelists to be created and downloaded at the tough of a button. 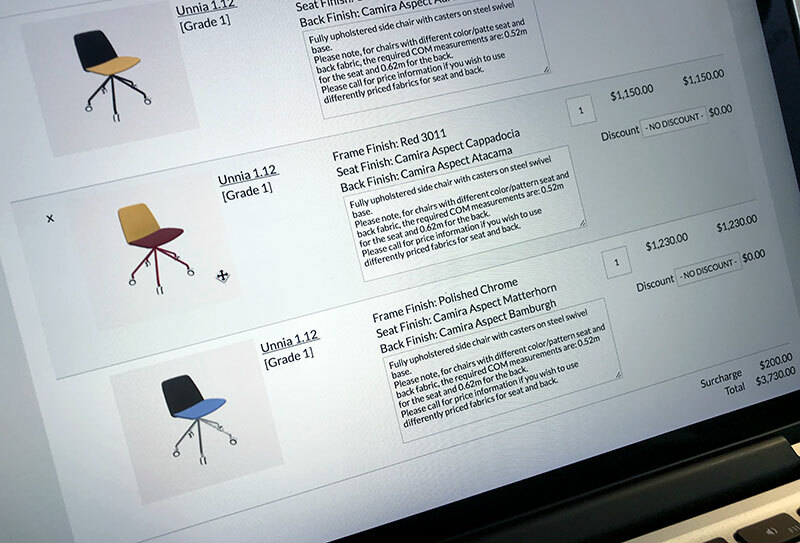 Prior to this automated system, the PDF pricelists, with over 12,000 price variations, had to be manually created at the cost of a considerable amount of man hours. 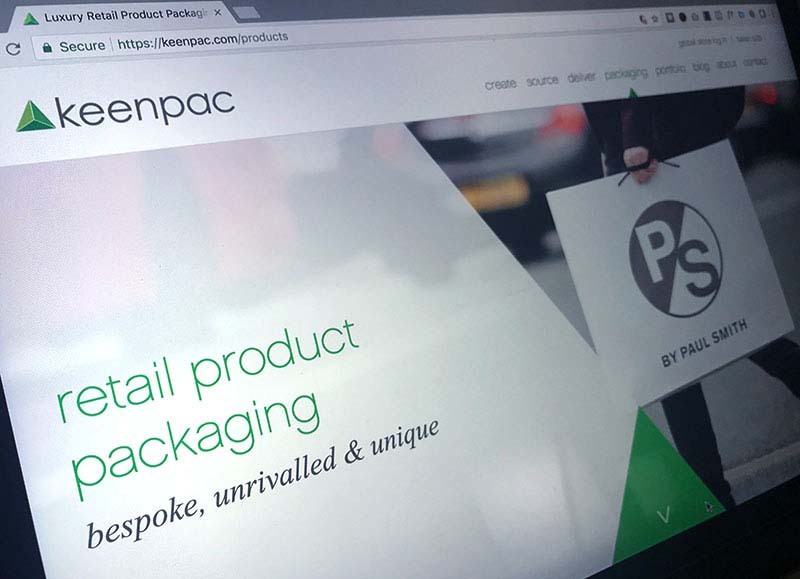 We’ve just launched a new online service to allow Keenpac’s logistics department to manage the planning of their bulk packaging deliveries. 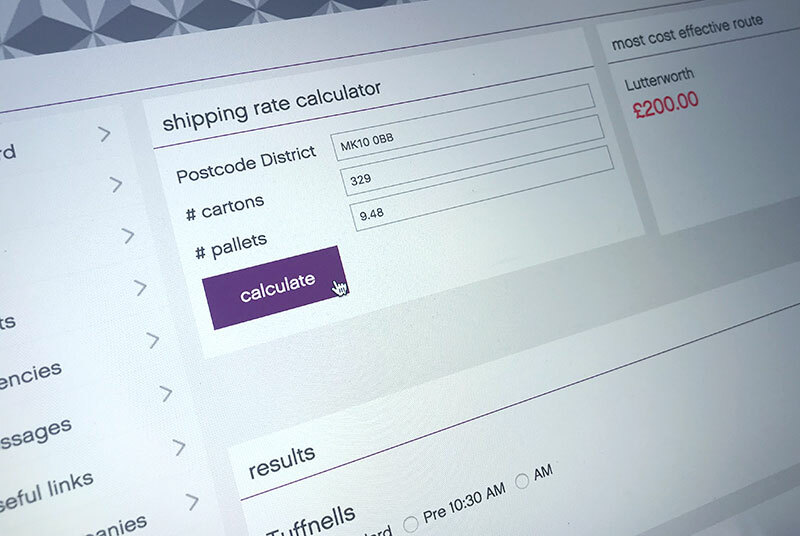 After automatically picking up orders from an internal server, the new system calculates the most cost-effective haulier to use and allows warehouse staff to plan floor space for palleted order-picking. 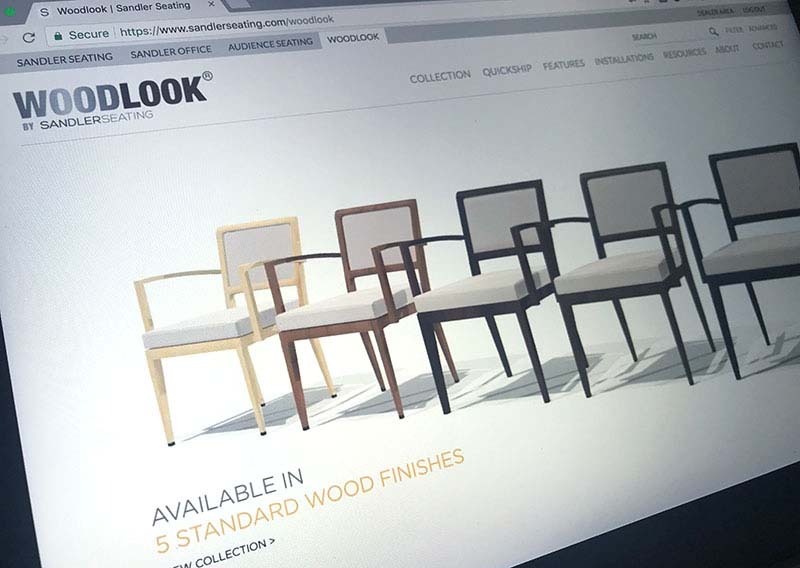 We created a series of fun little animations to showcase the unique aspects of the Woodlook product range. 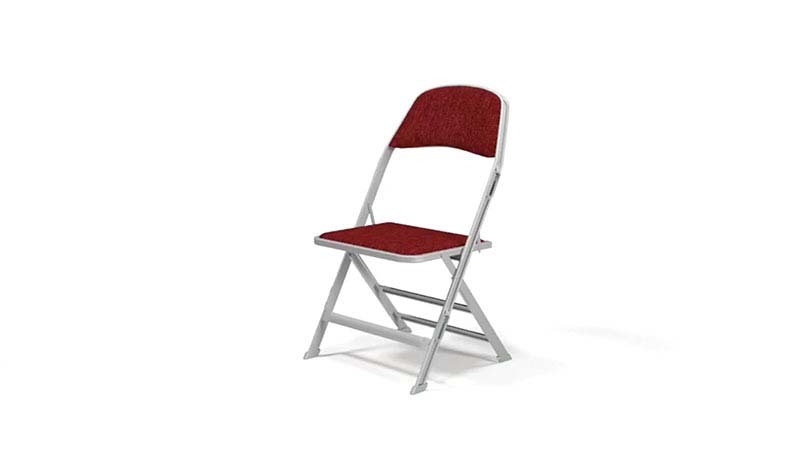 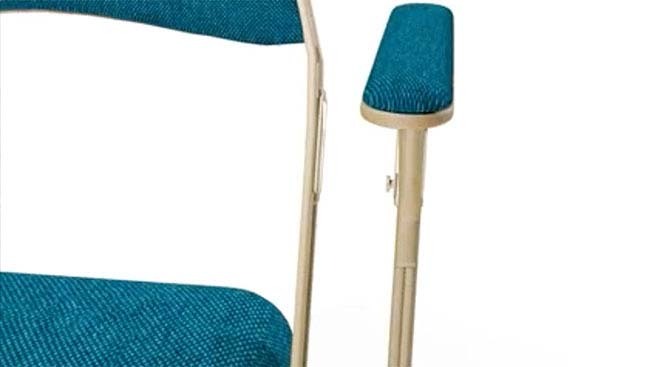 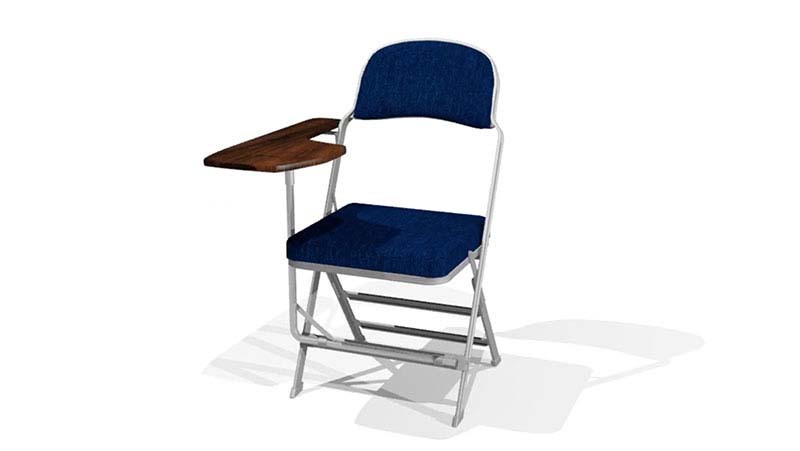 It may be tiny in size, but this cute little folding chair animation is strangely mesmerising. 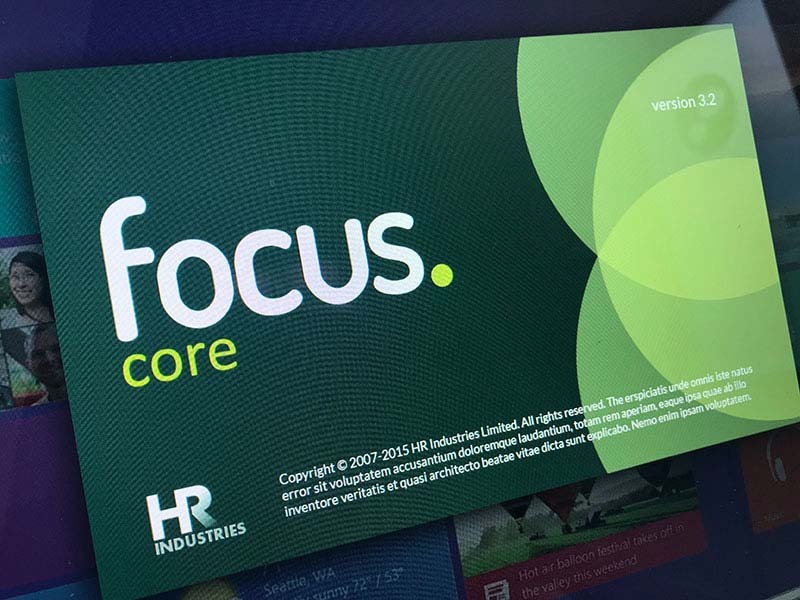 We’ve created a new brand for HR Industries time and attendance software package, Focus Core.